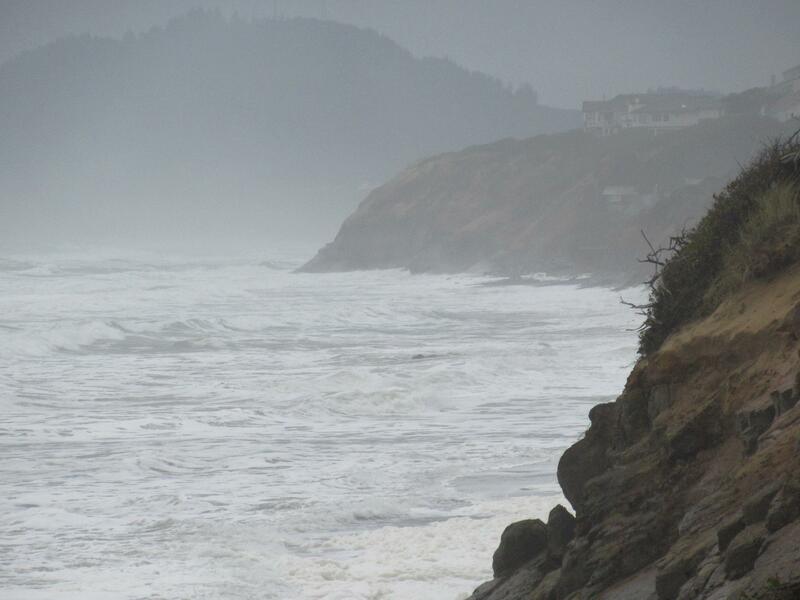 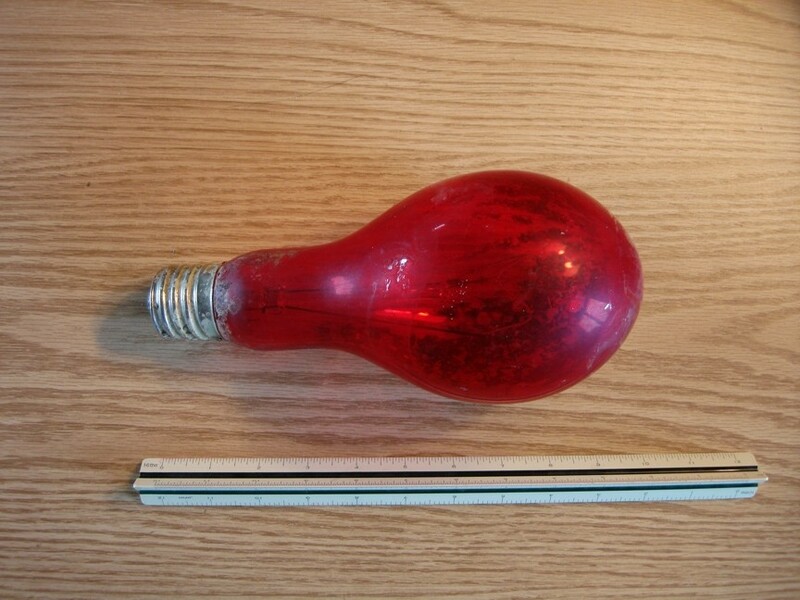 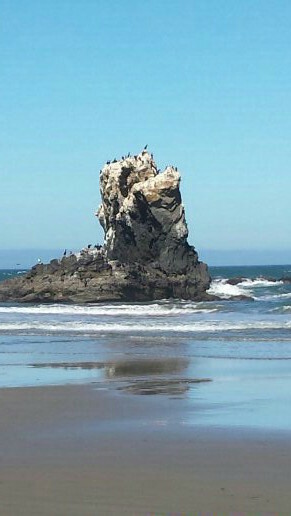 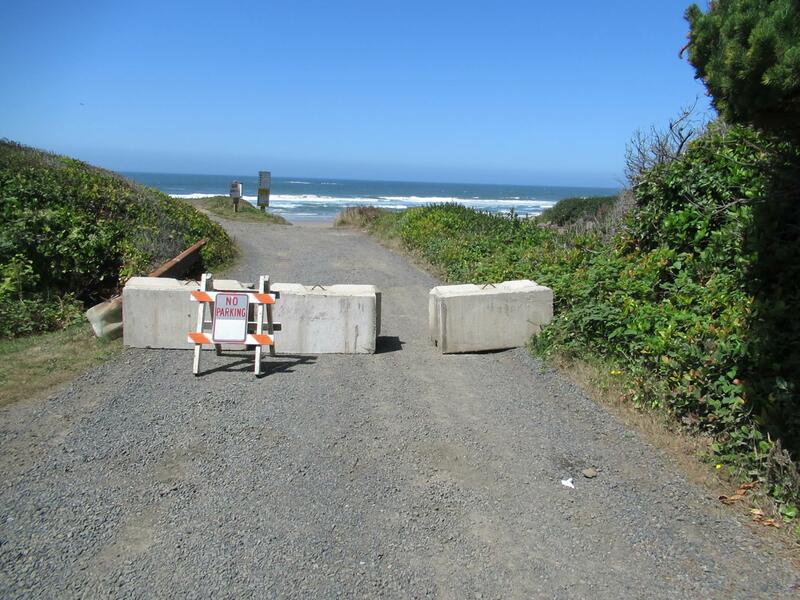 2 bicyclists found near Yaquina head at start of walk--they were headed north. 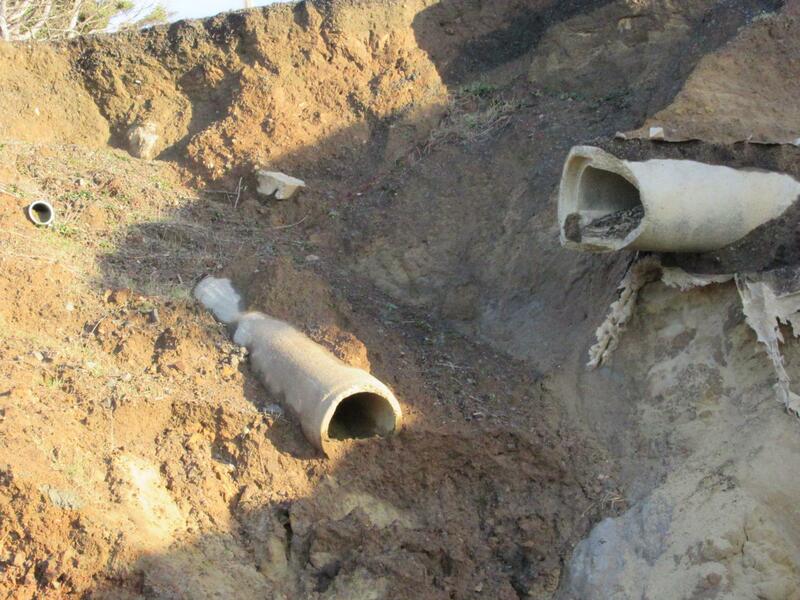 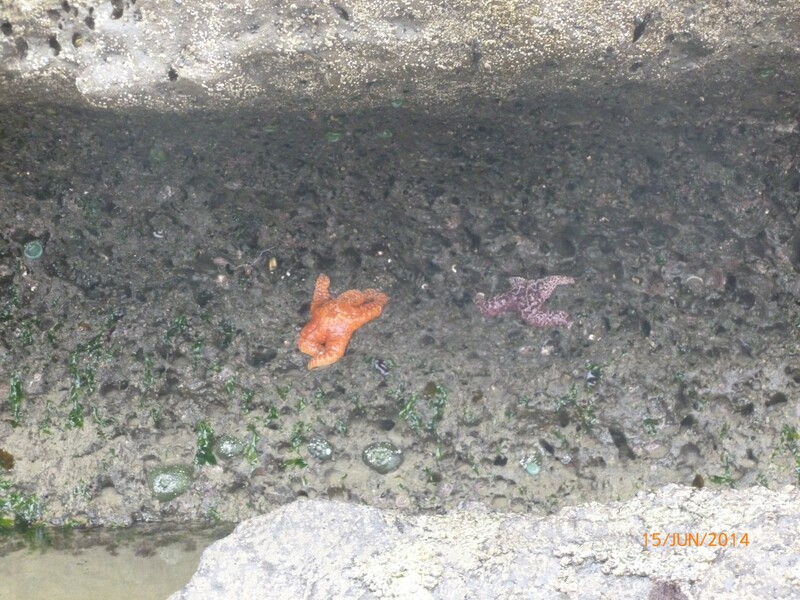 The other 4 found at NW 68th street access. 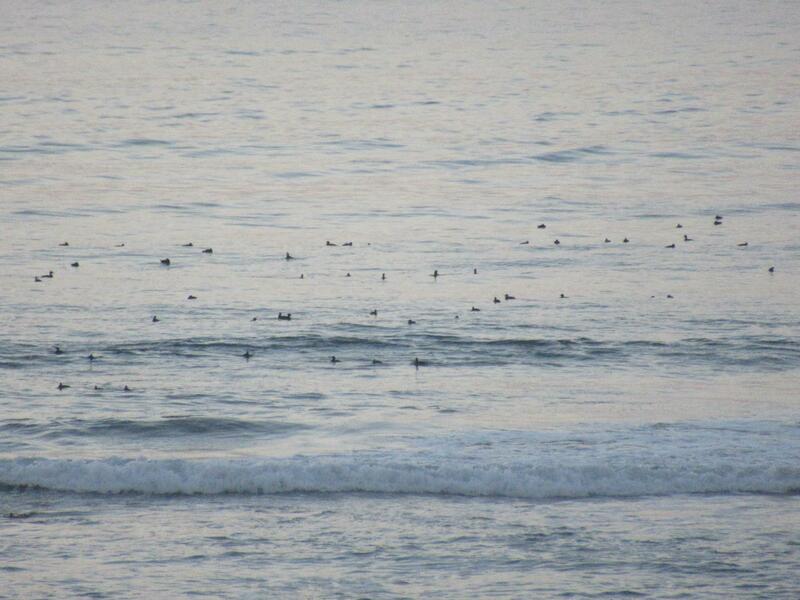 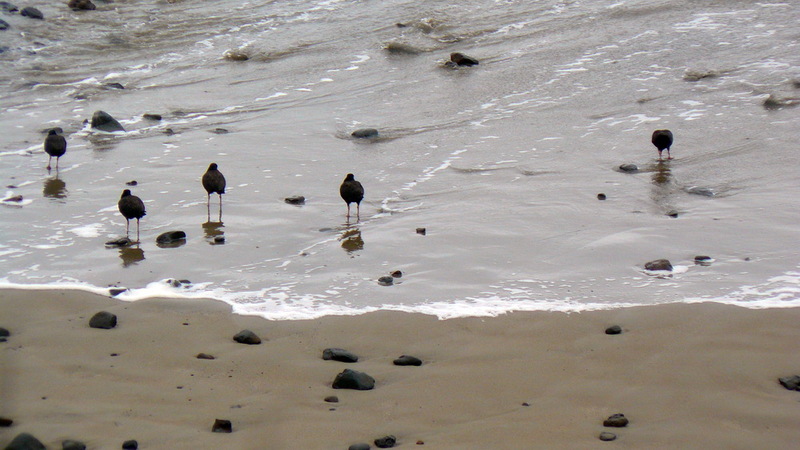 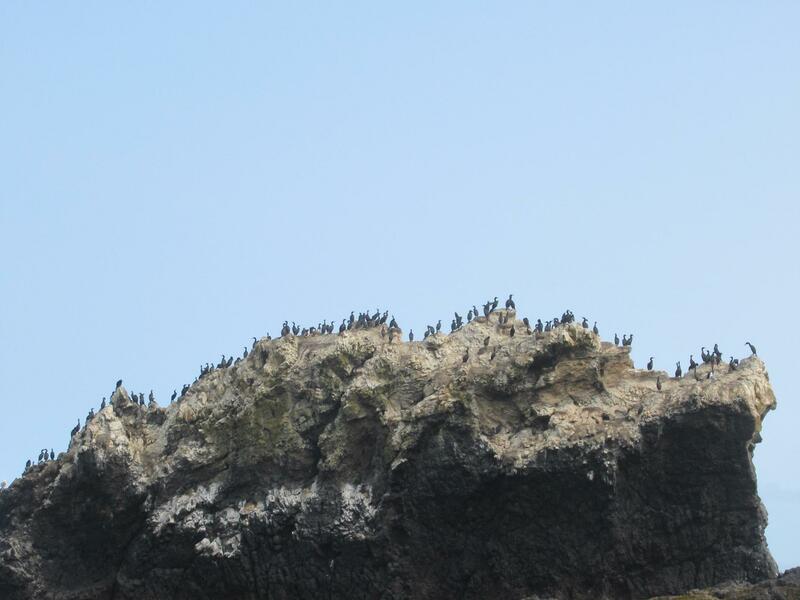 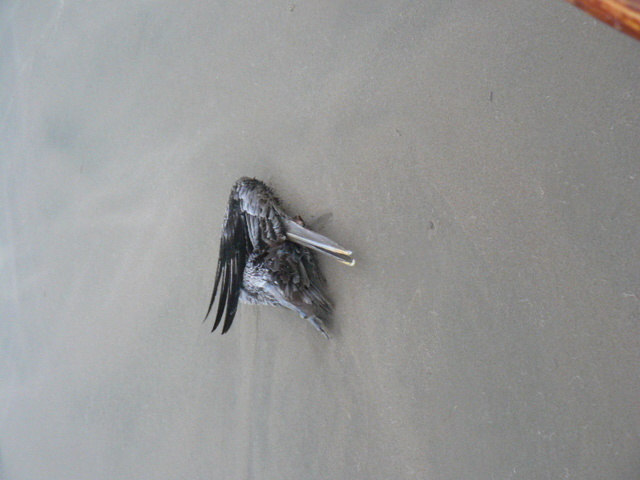 Very few birds seen--none really congregating along the shore, with a few flying overhead. 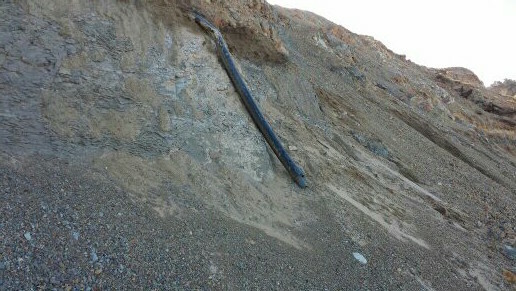 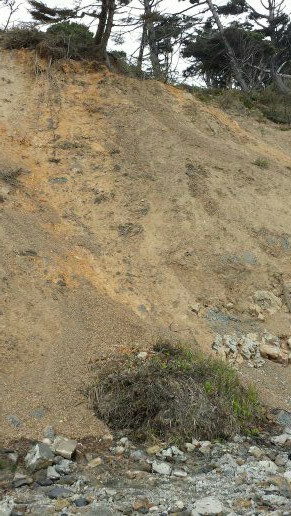 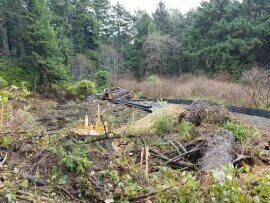 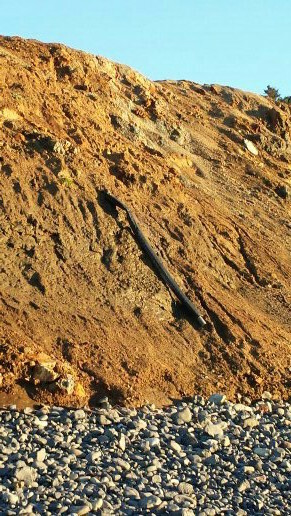 Still some wood from landslides near entrance at base of cliff accessed from NW 56th and Meander. 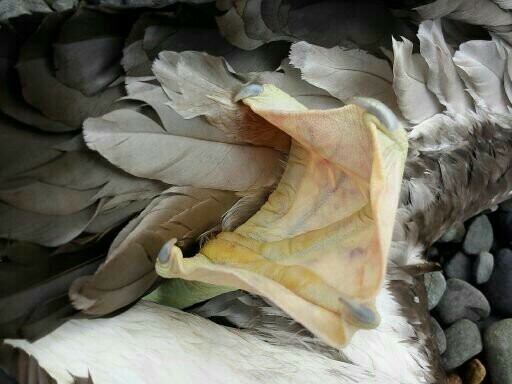 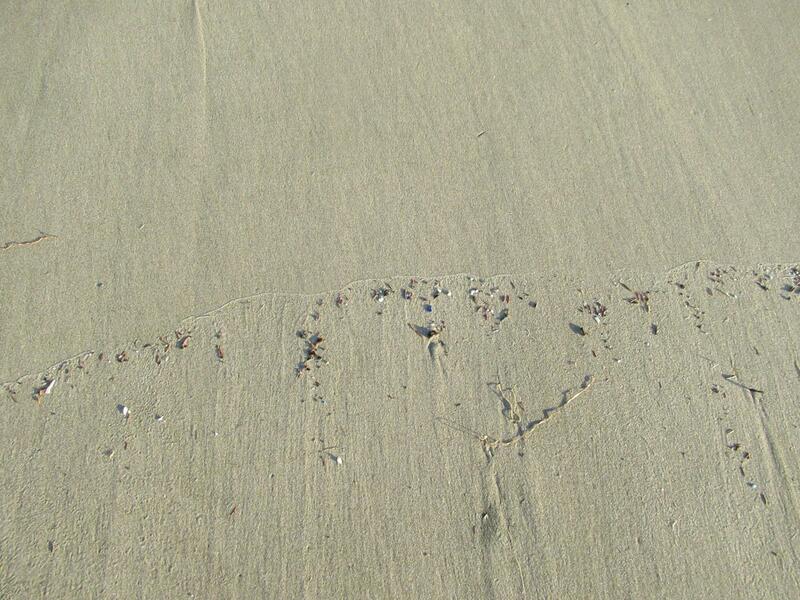 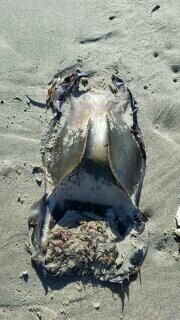 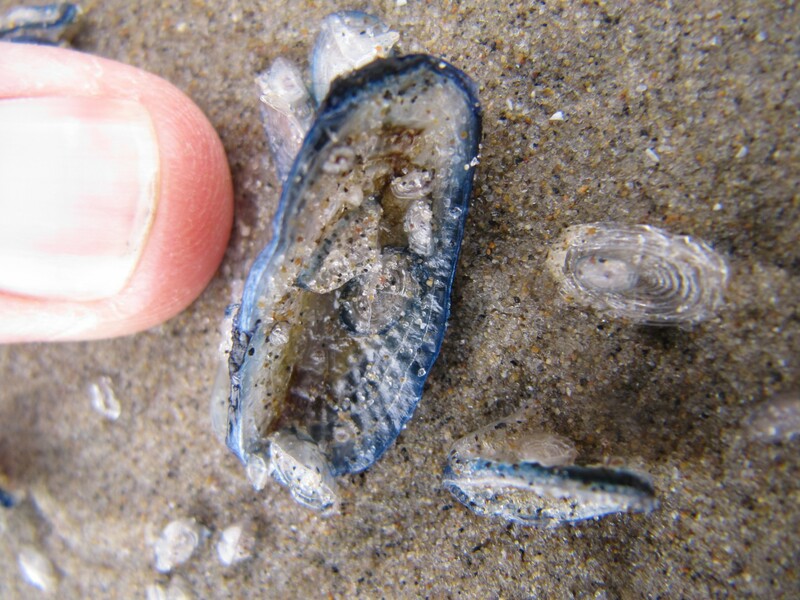 Although many crab claws seen, only saw 2 crab molt shells--clean edges of break. 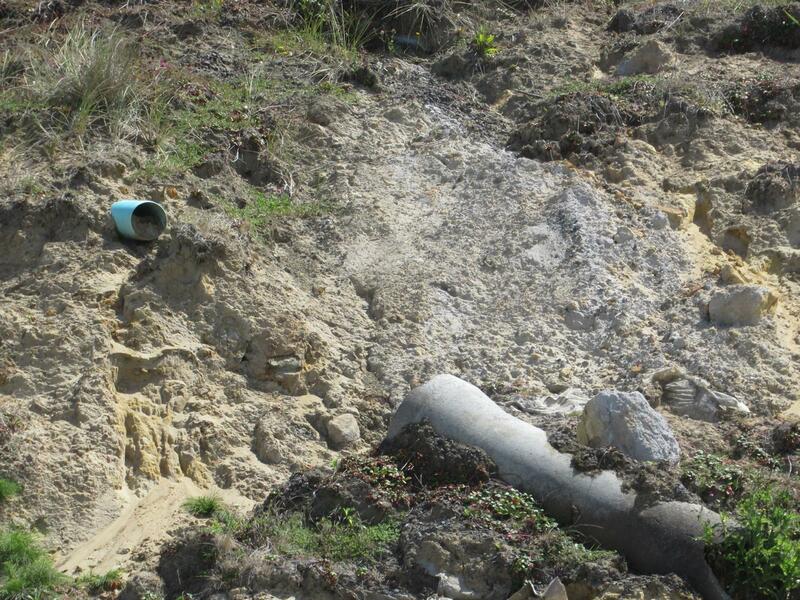 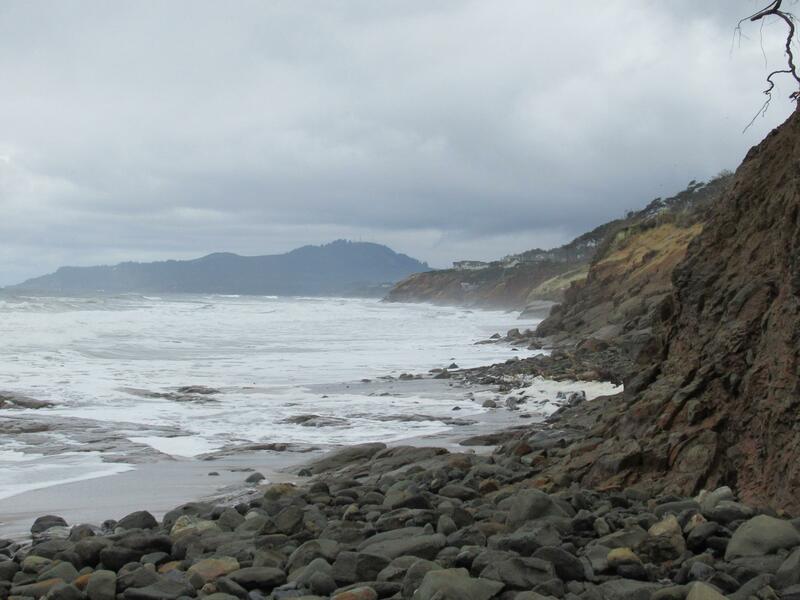 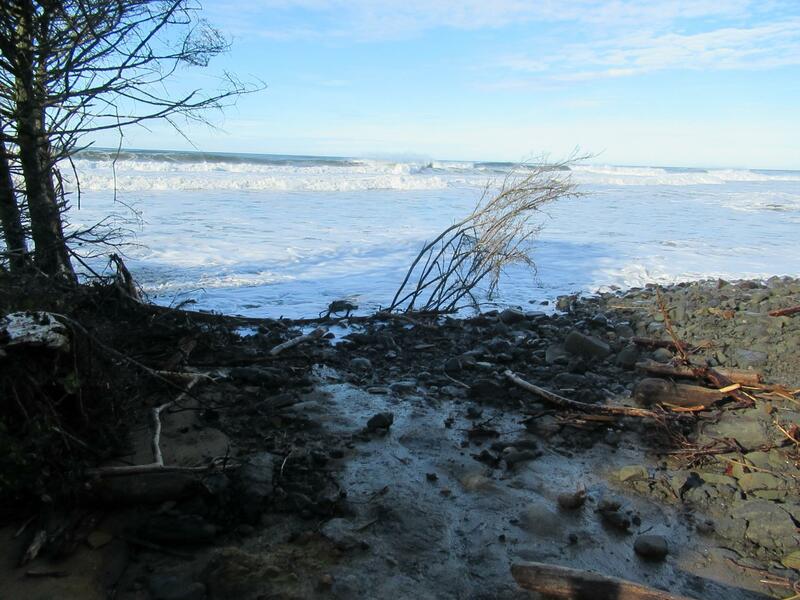 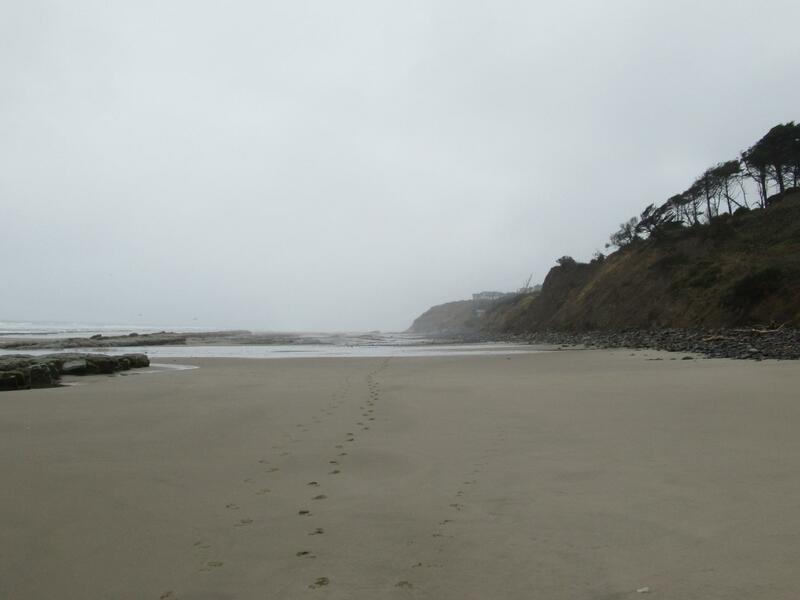 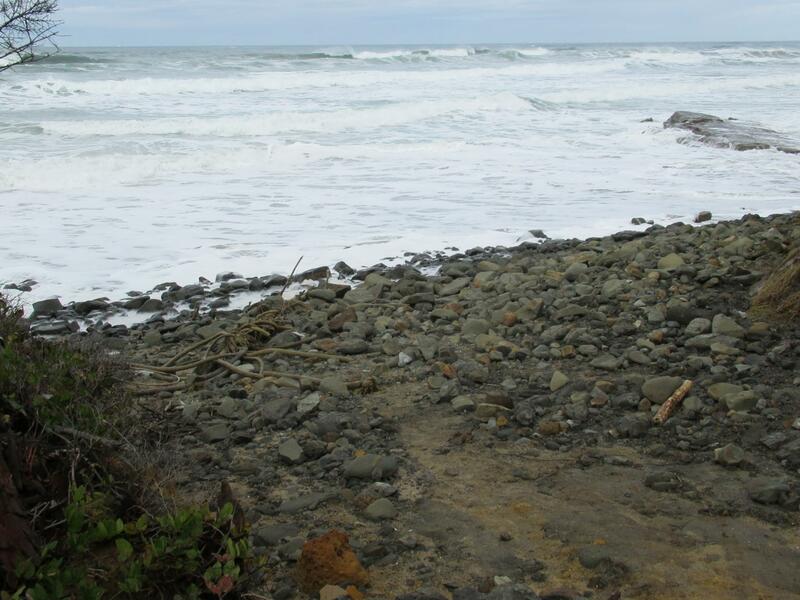 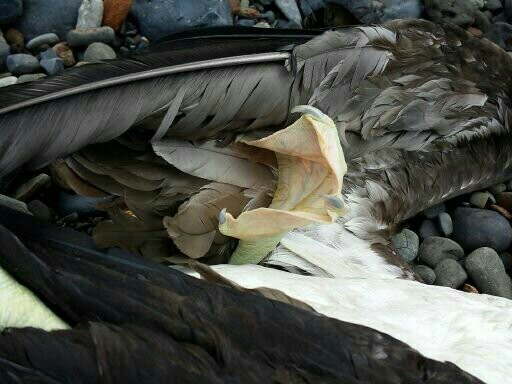 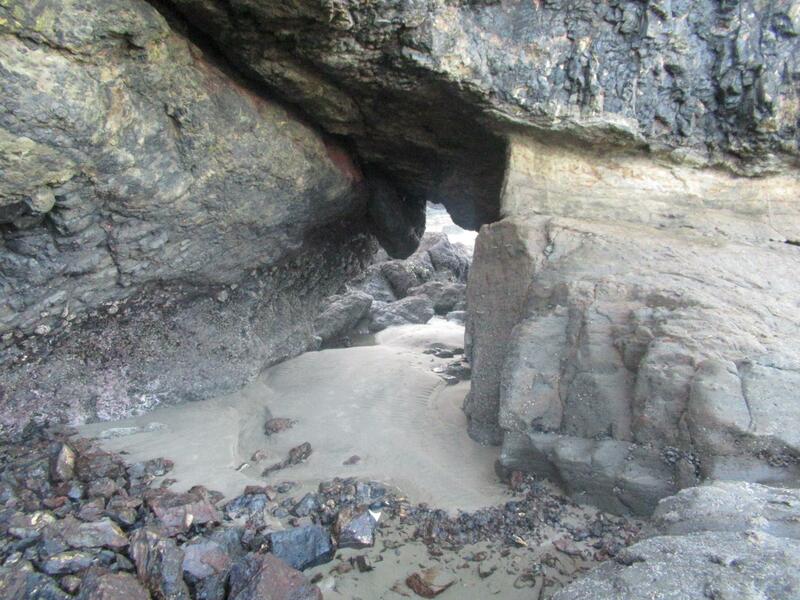 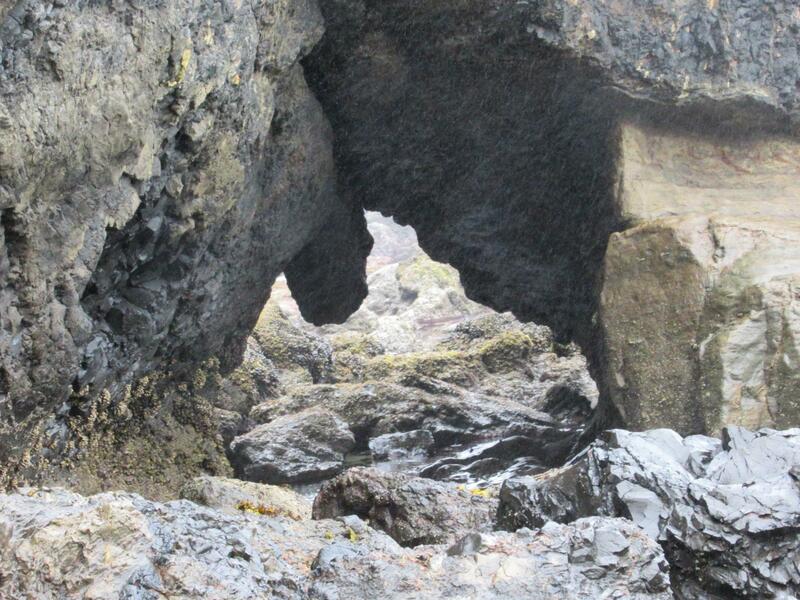 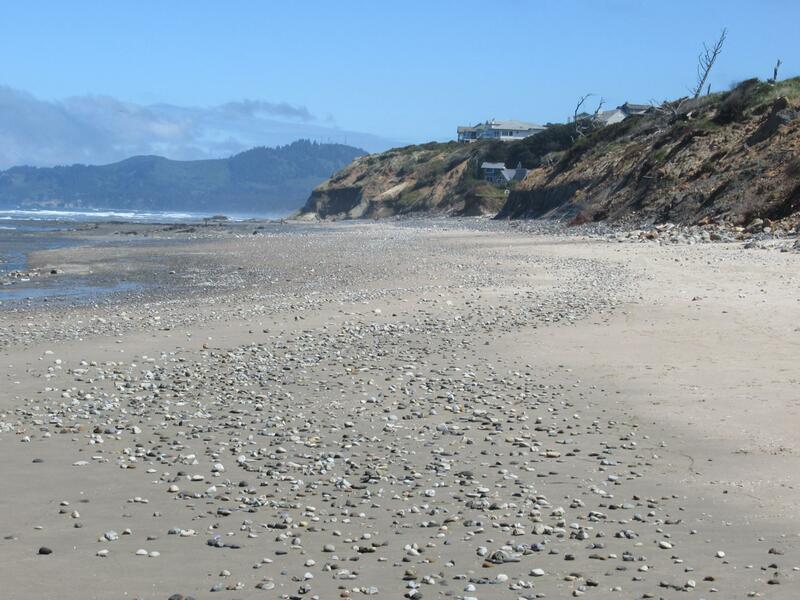 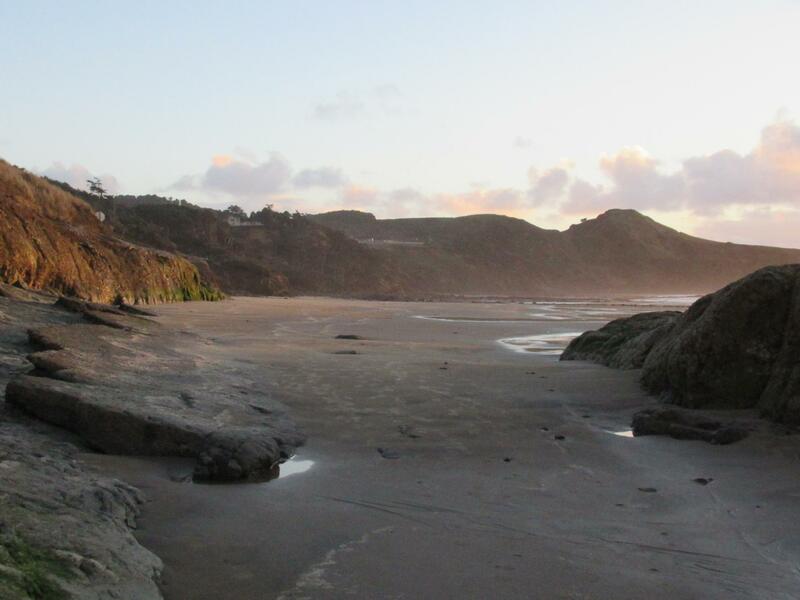 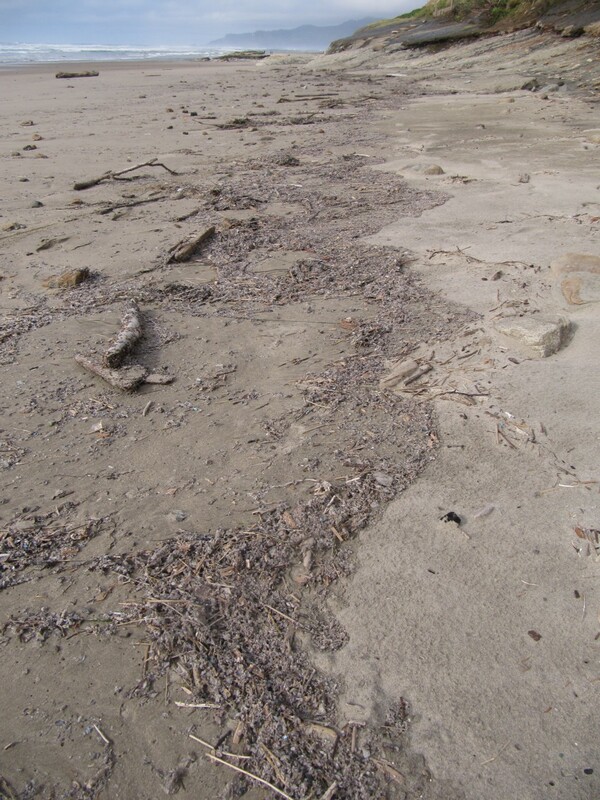 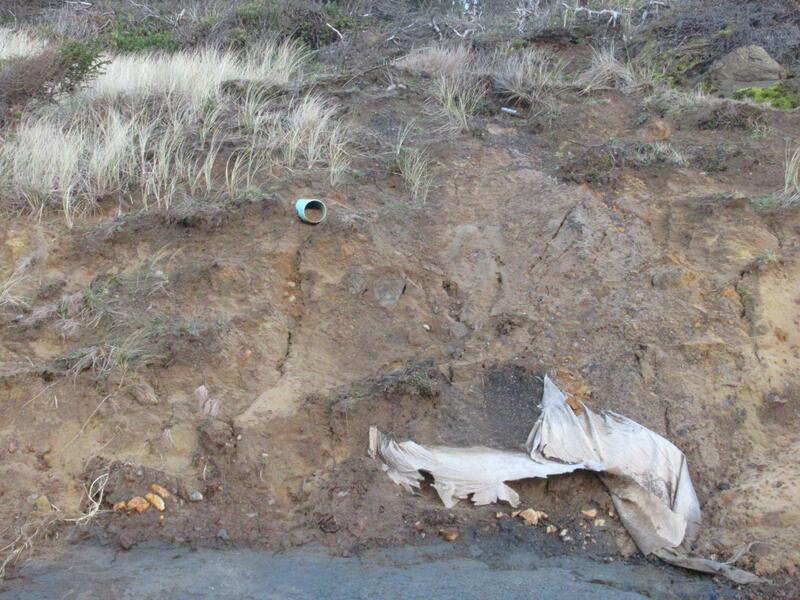 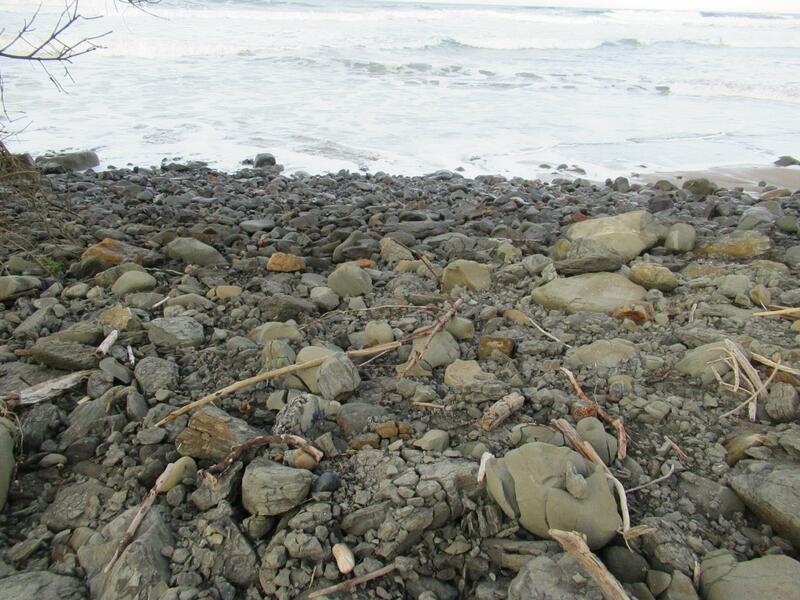 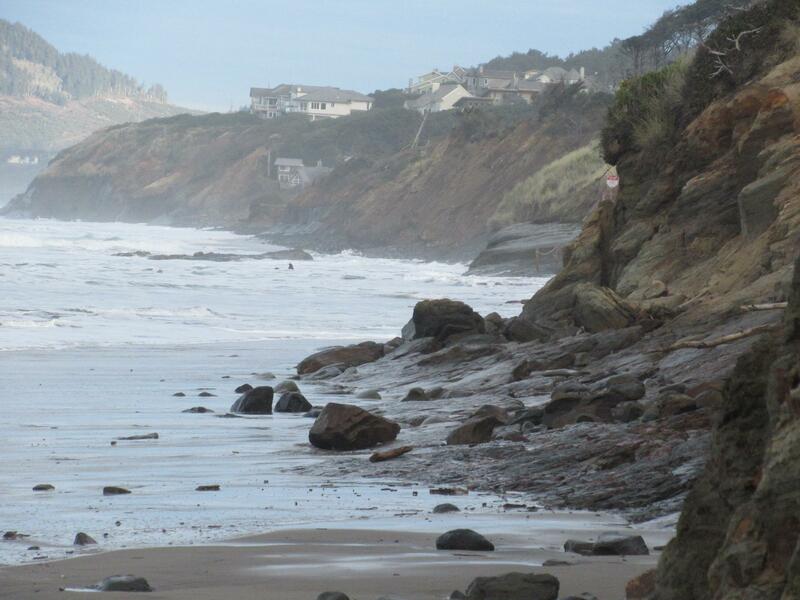 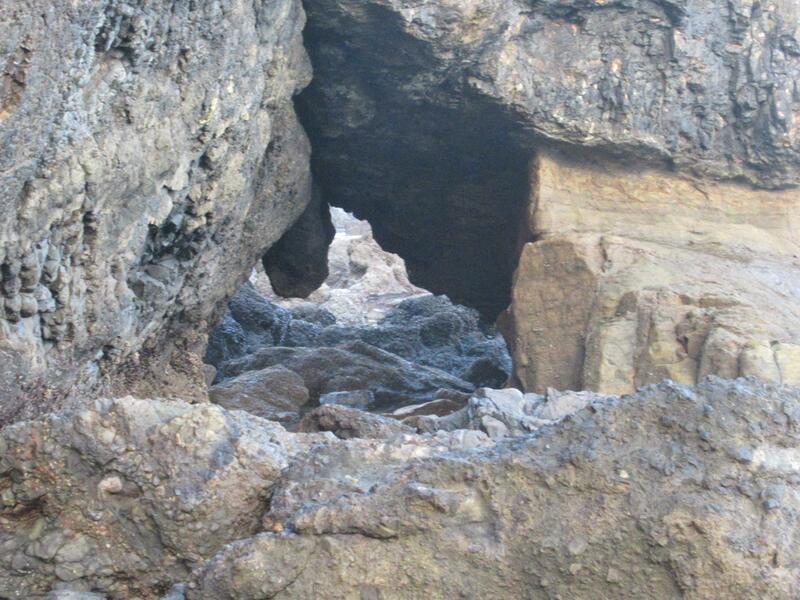 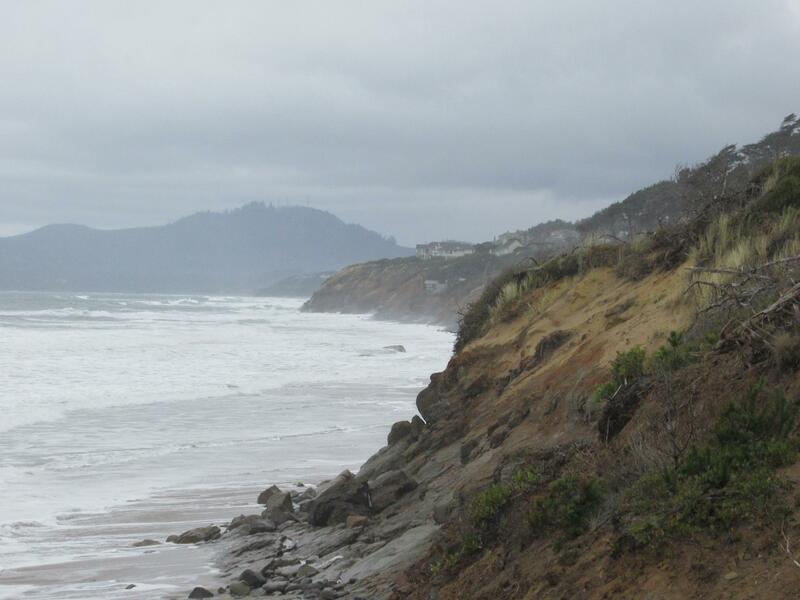 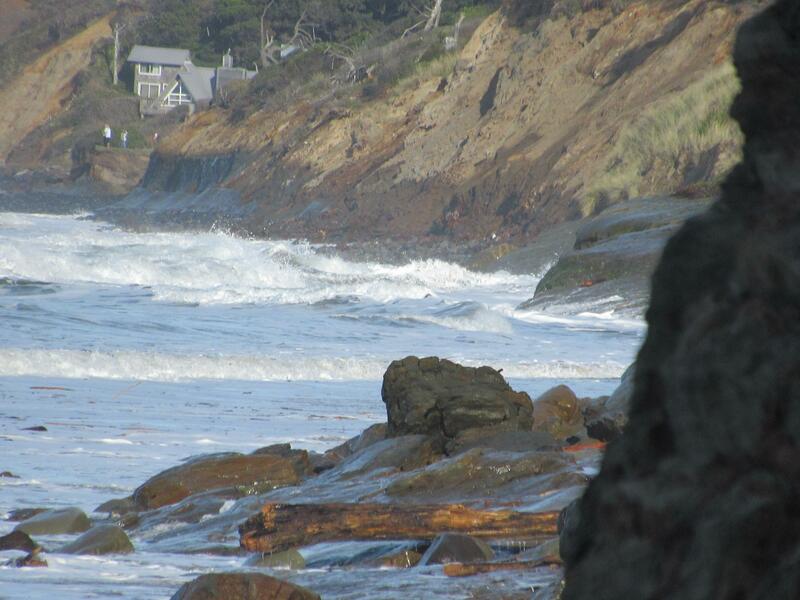 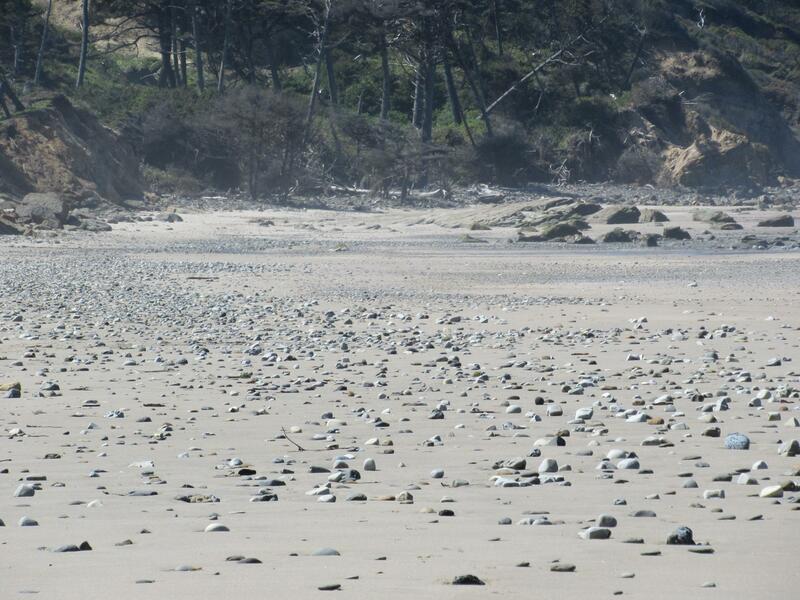 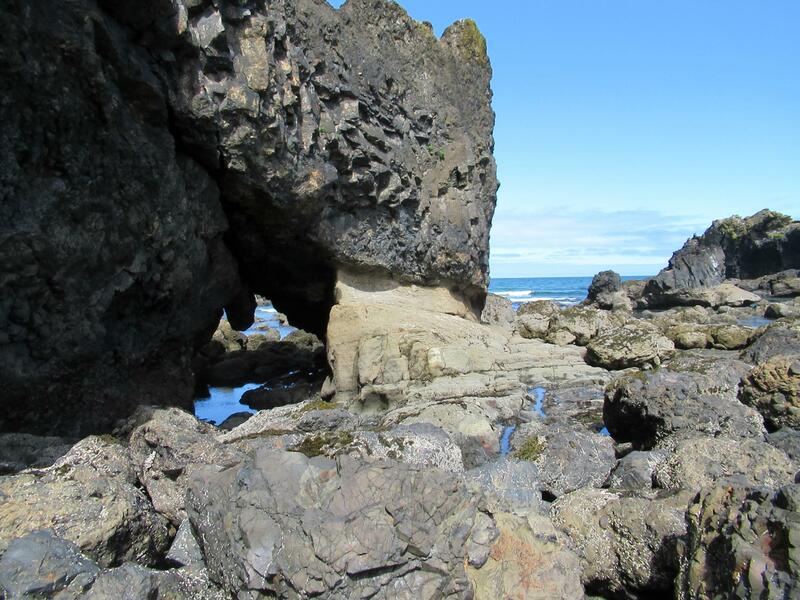 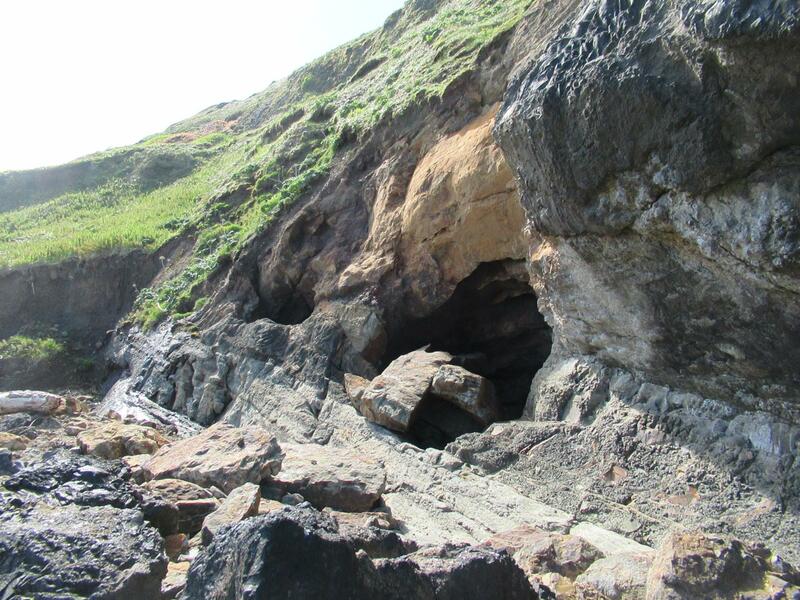 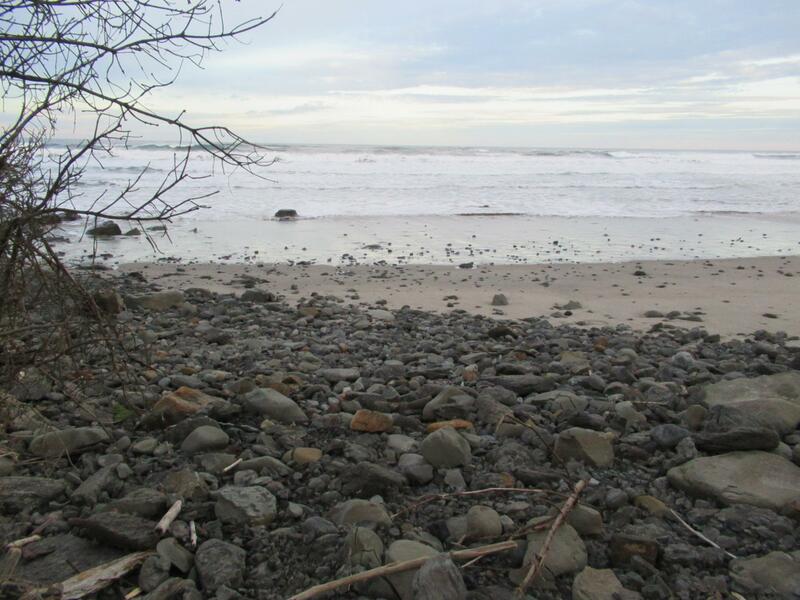 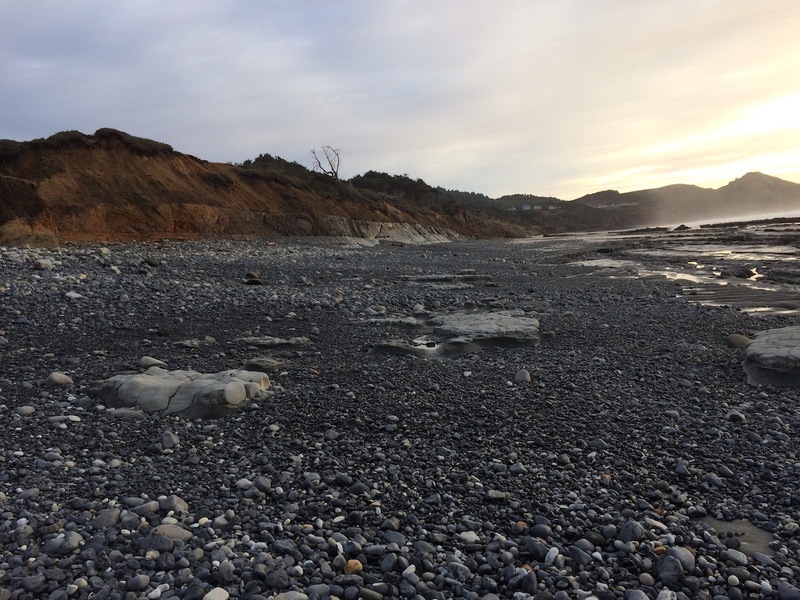 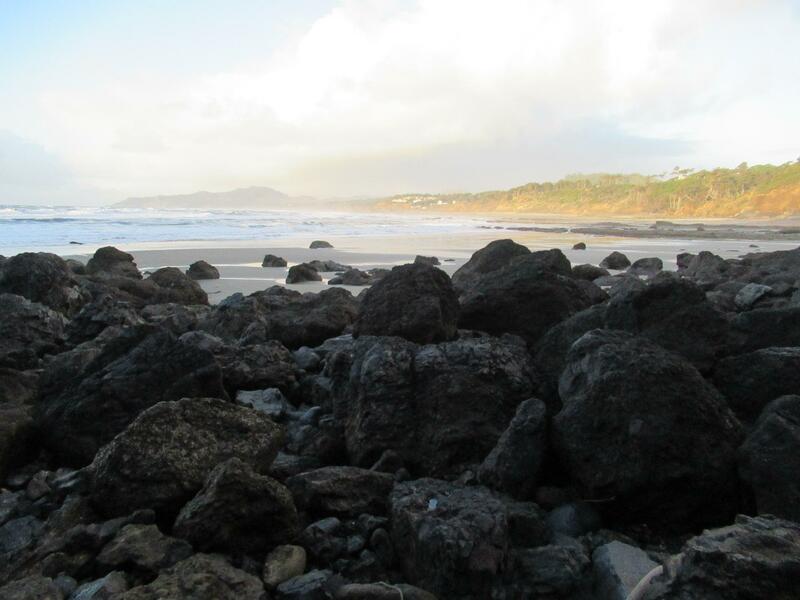 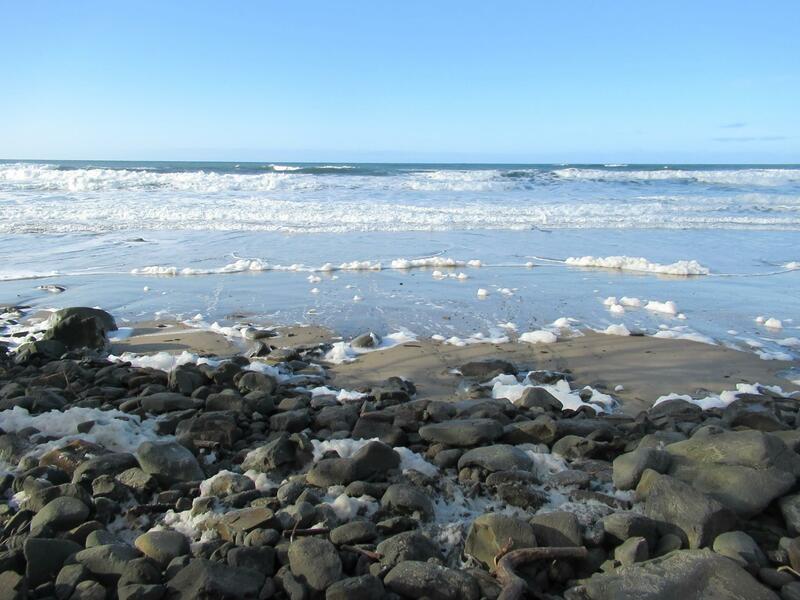 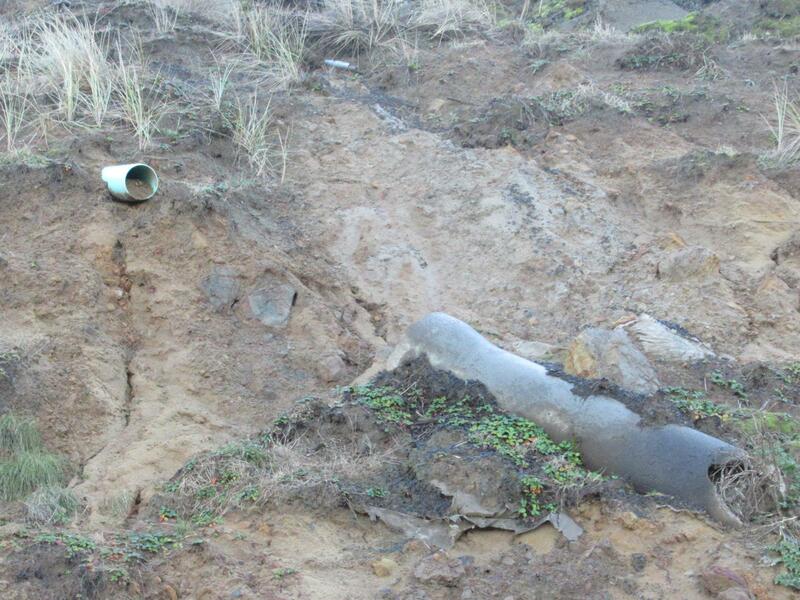 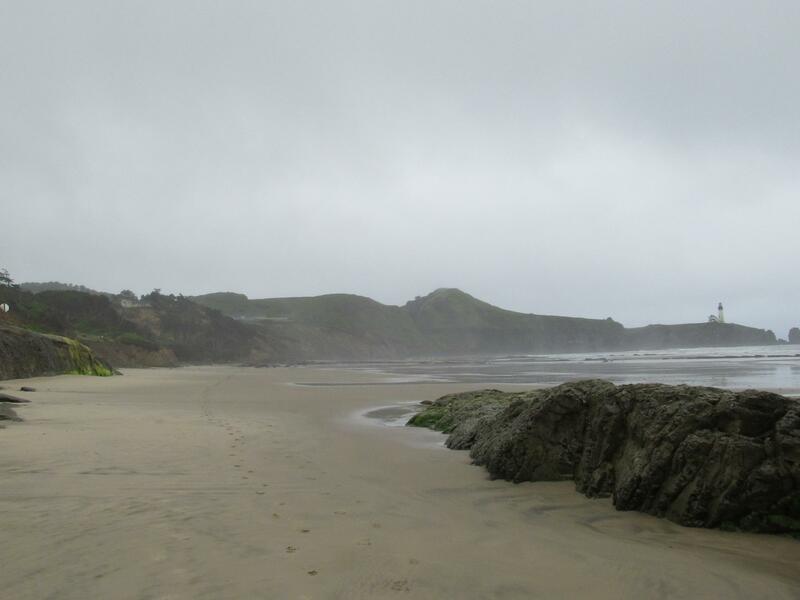 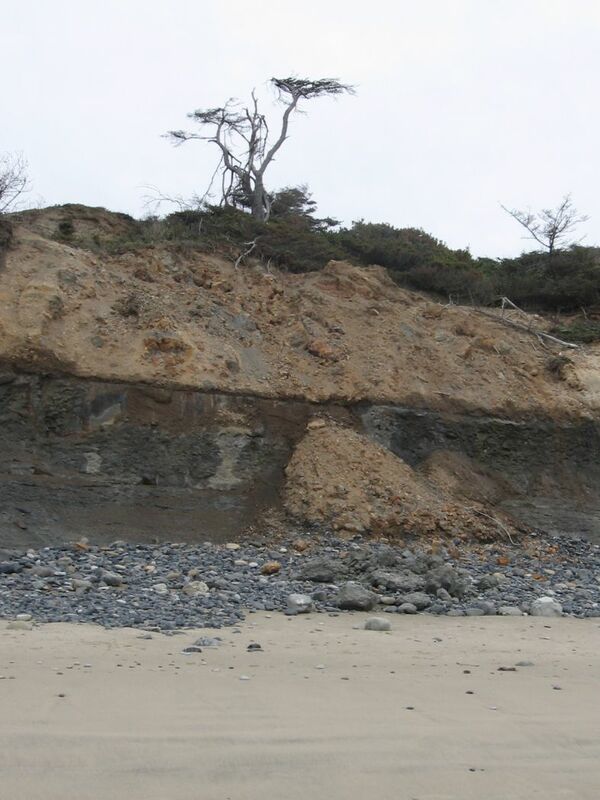 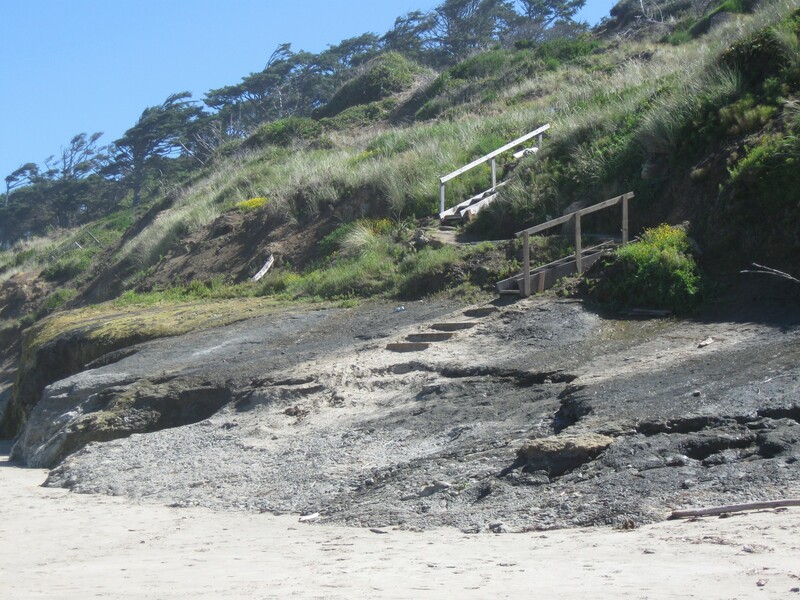 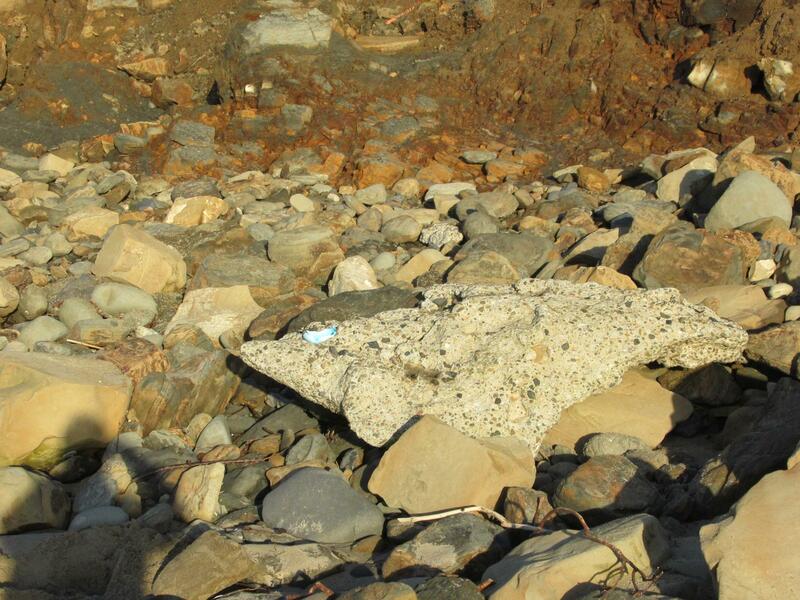 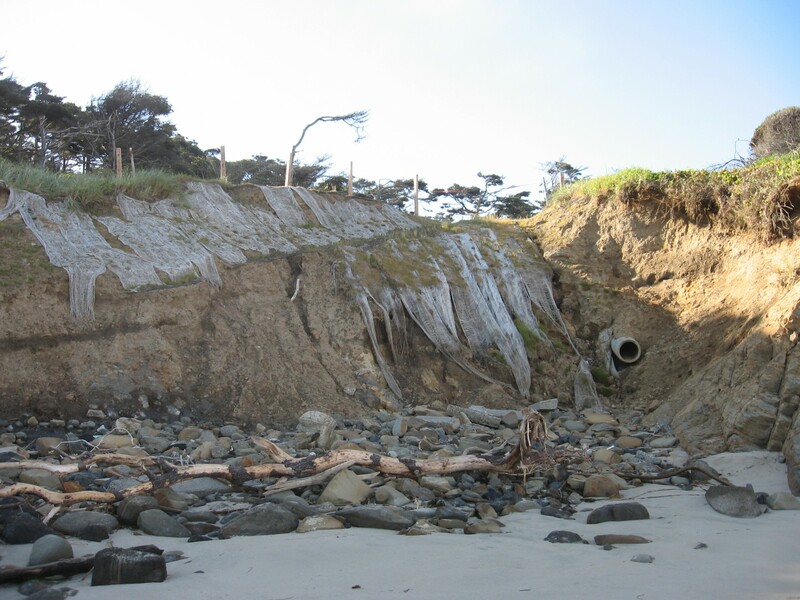 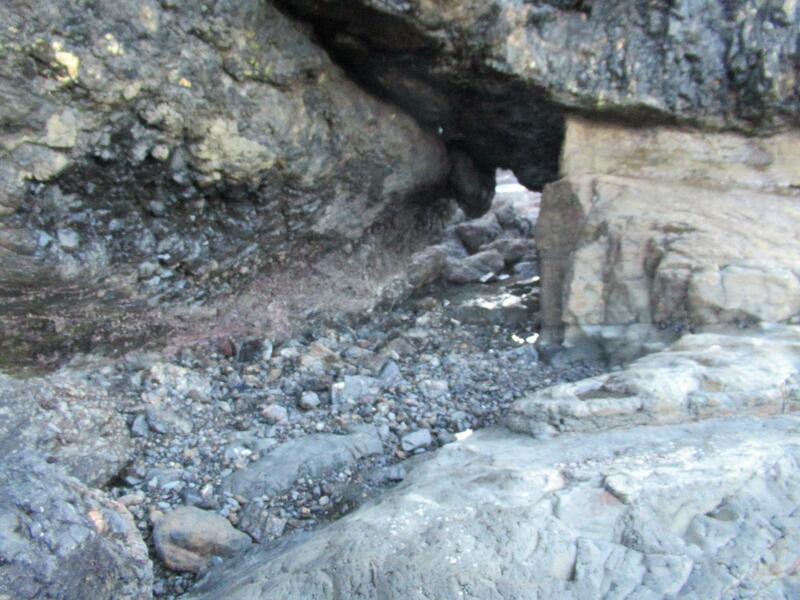 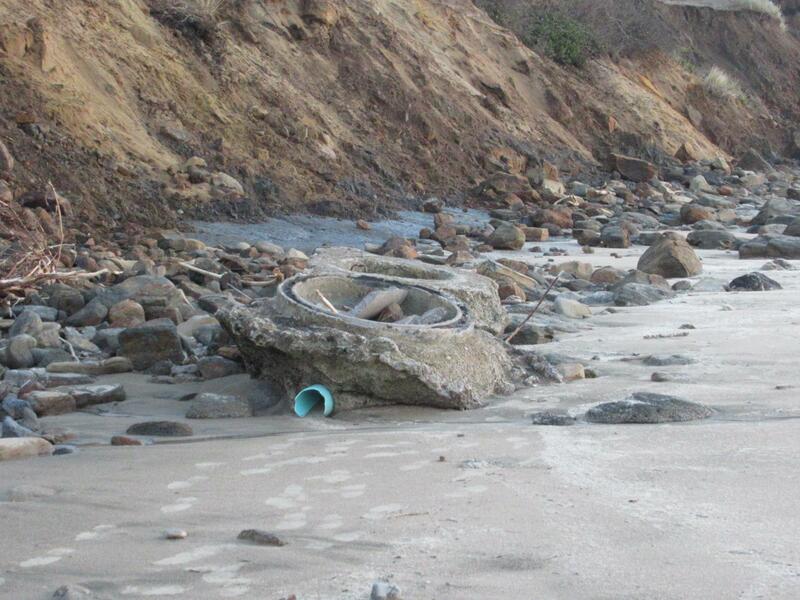 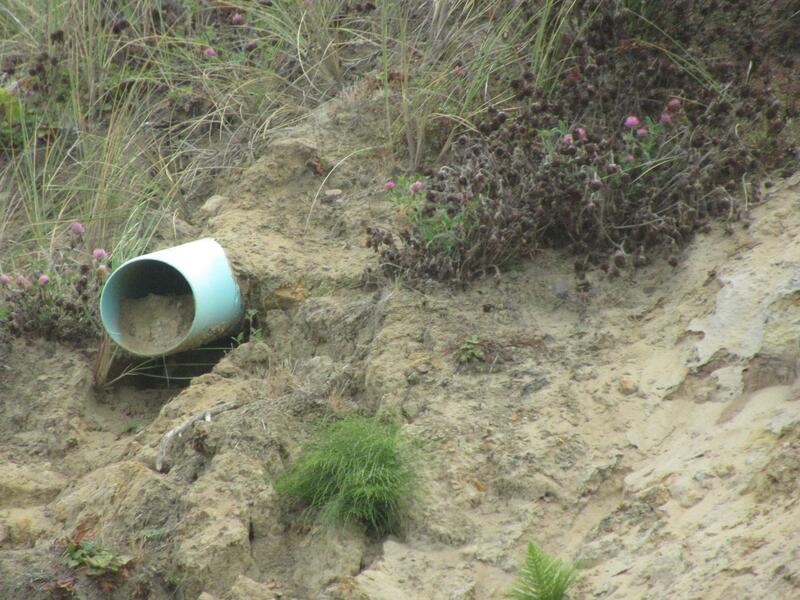 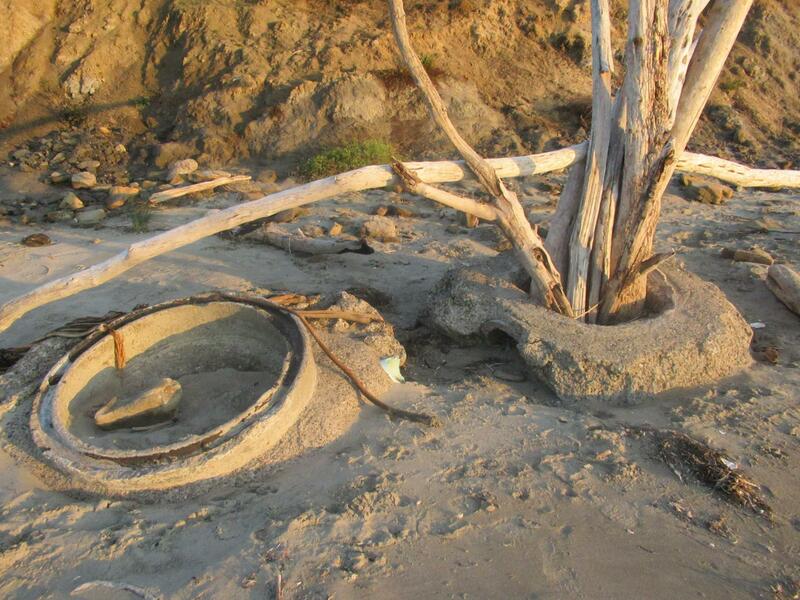 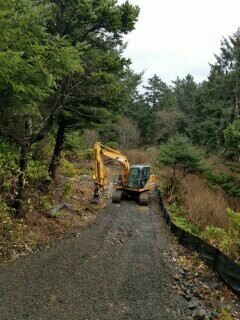 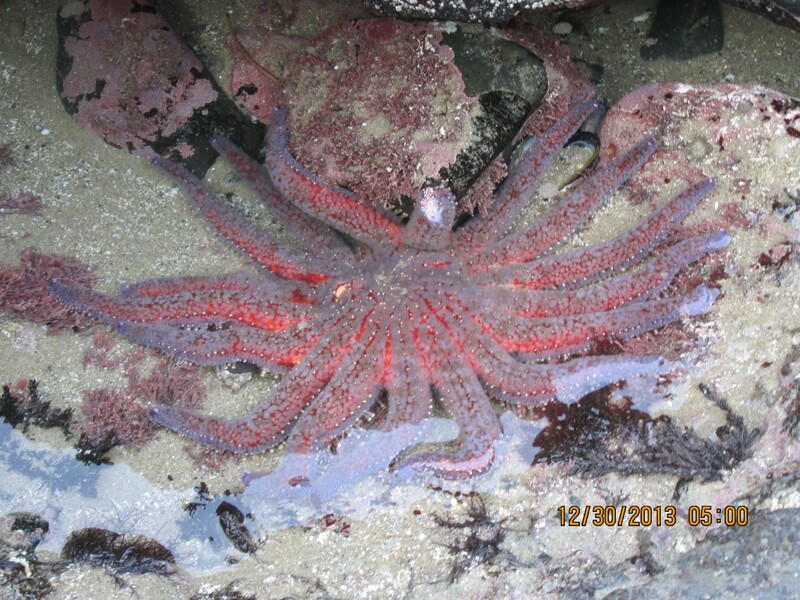 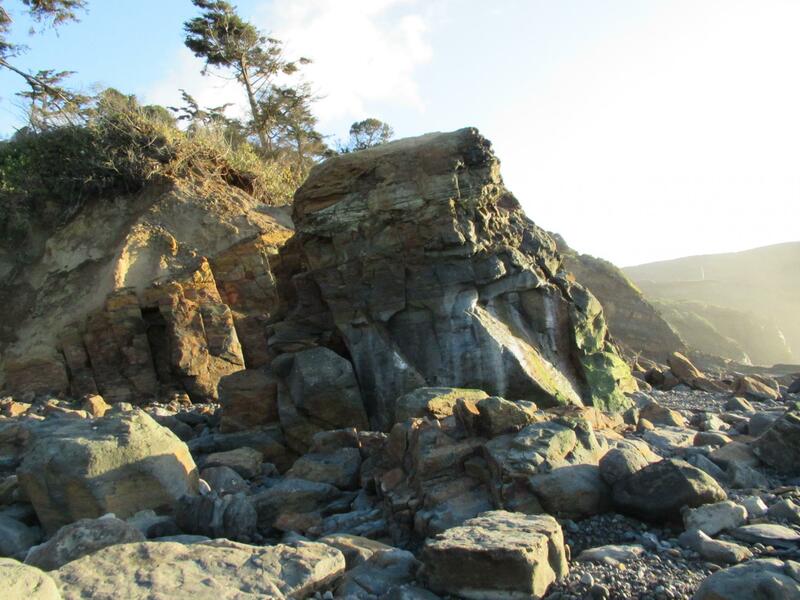 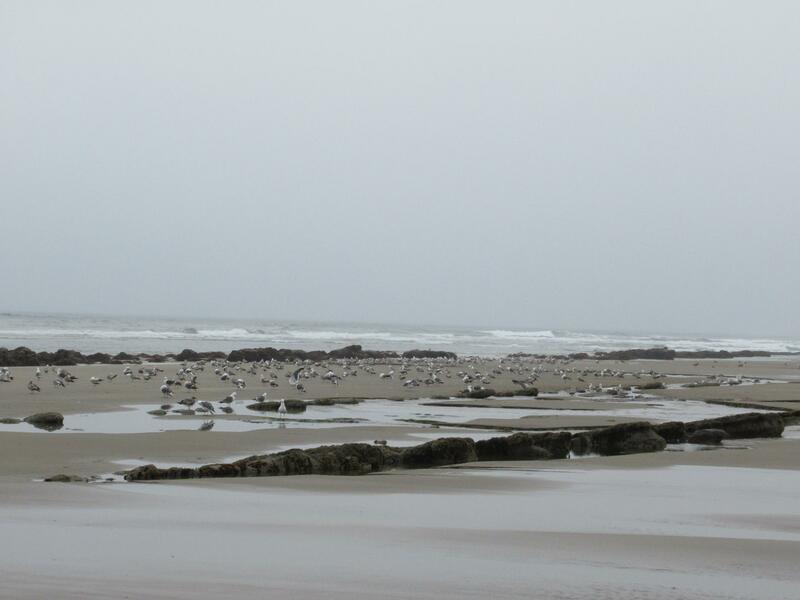 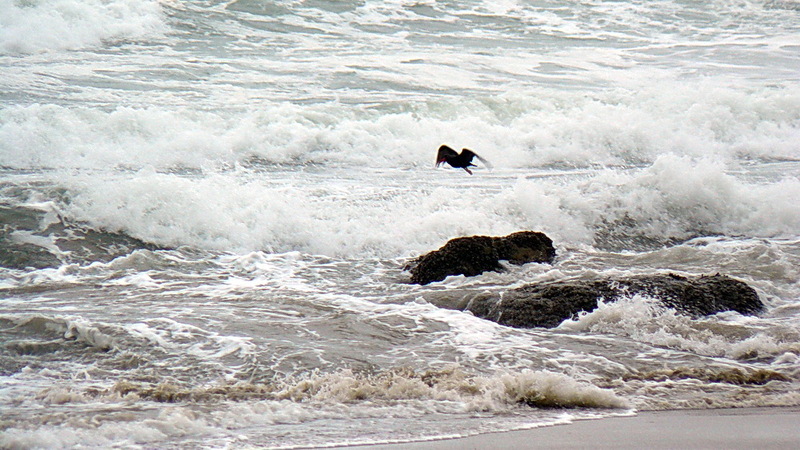 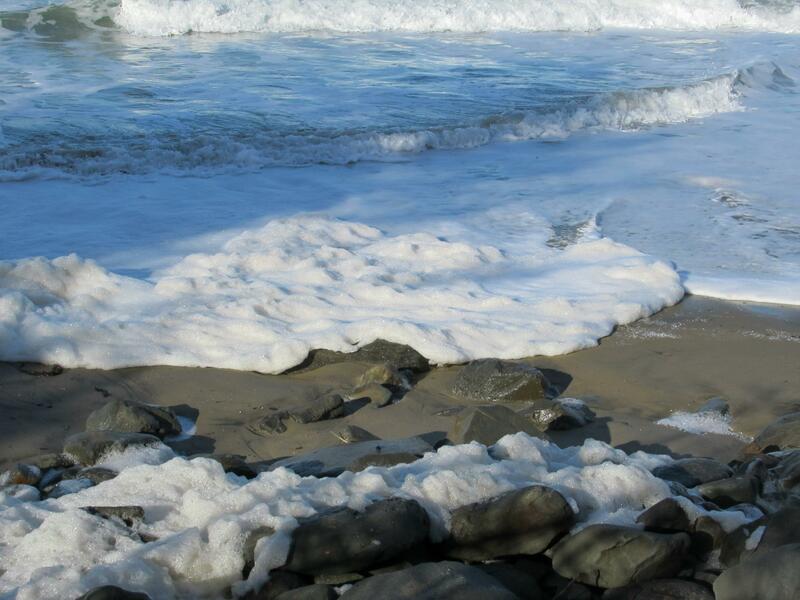 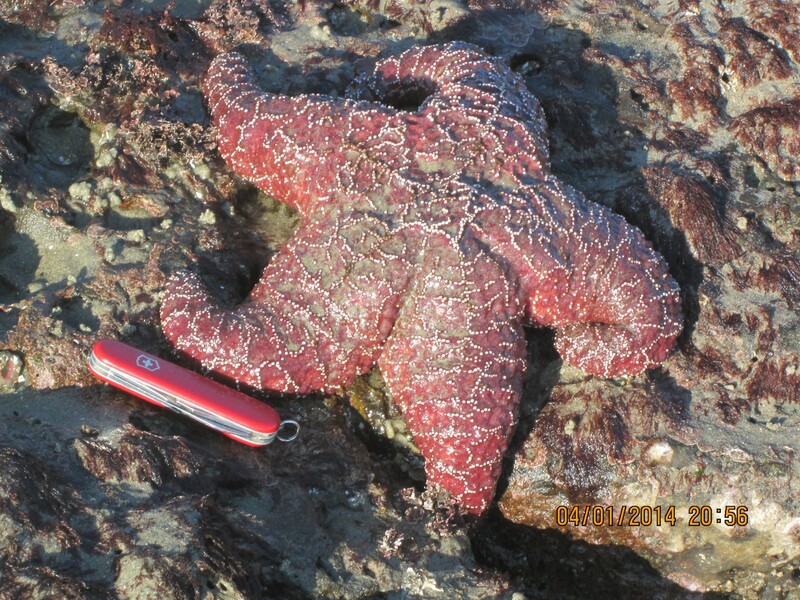 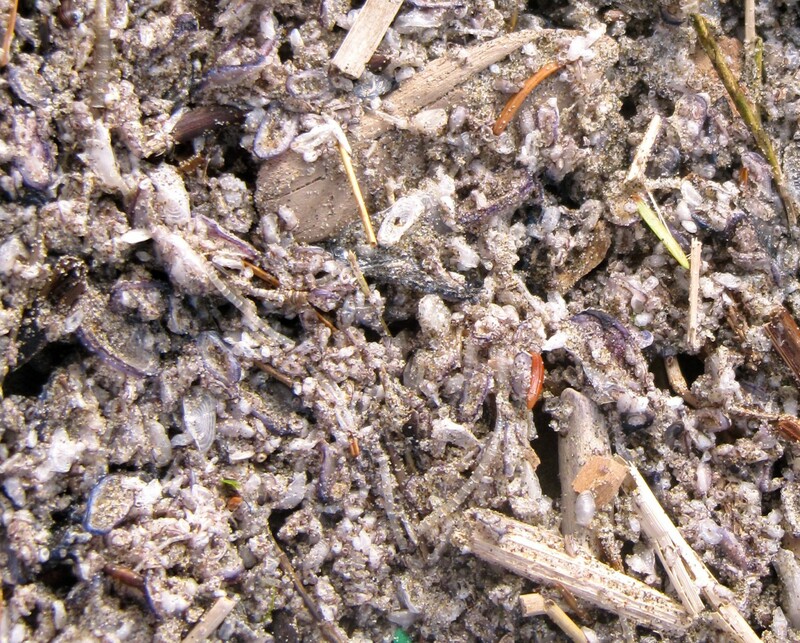 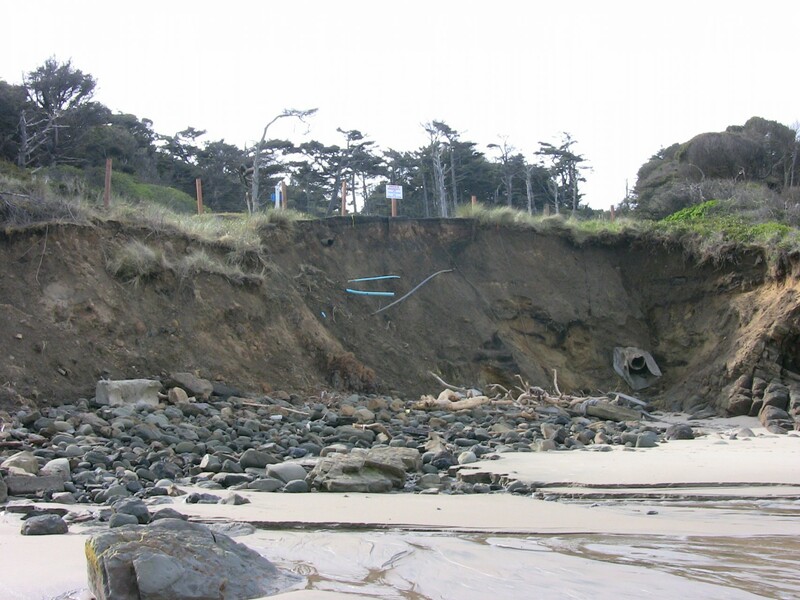 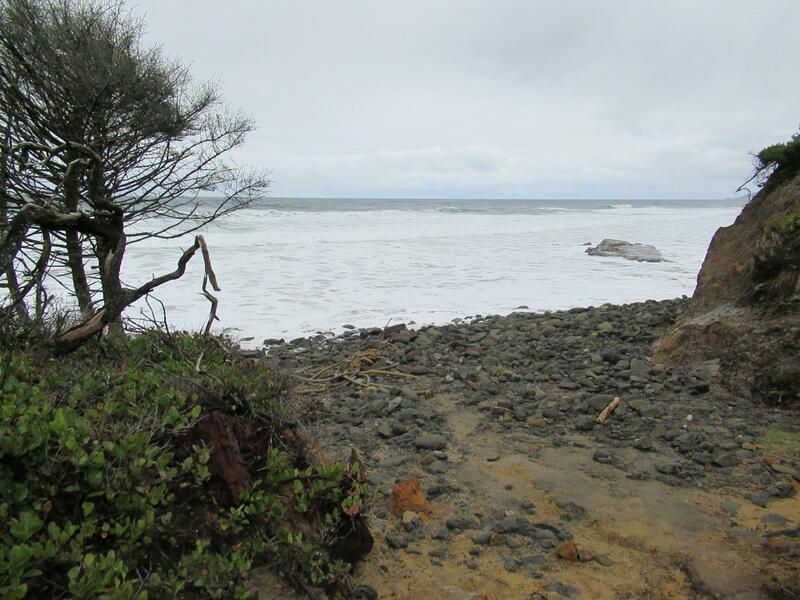 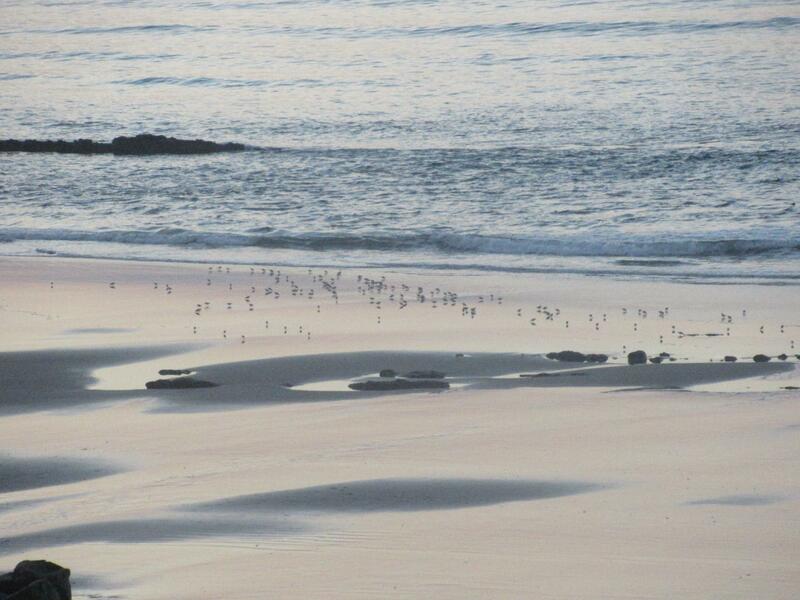 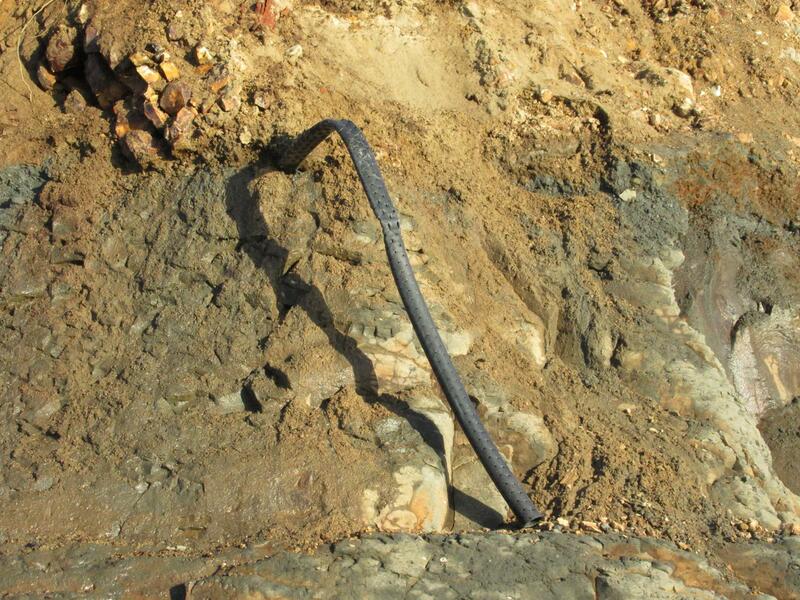 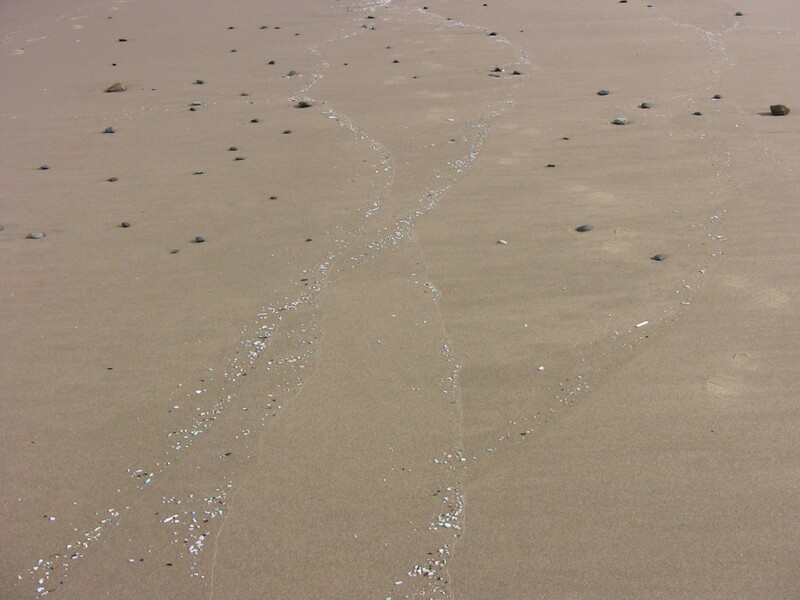 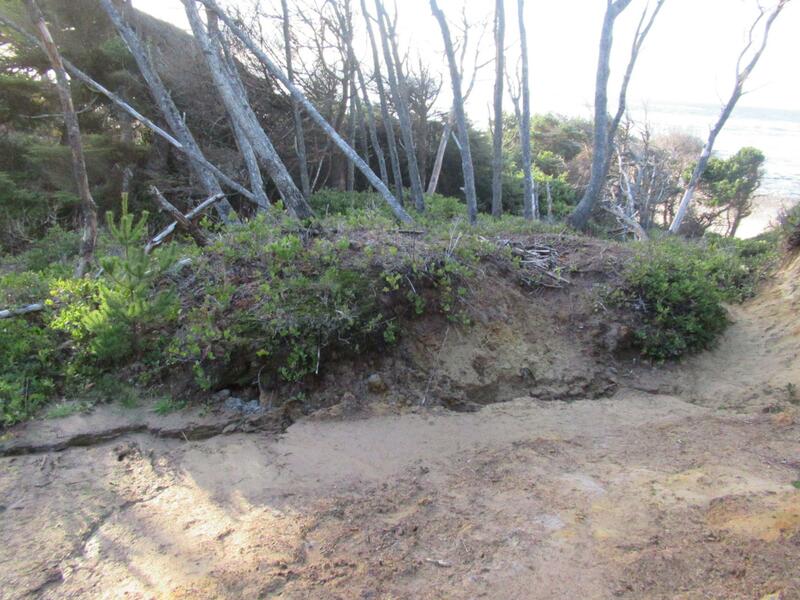 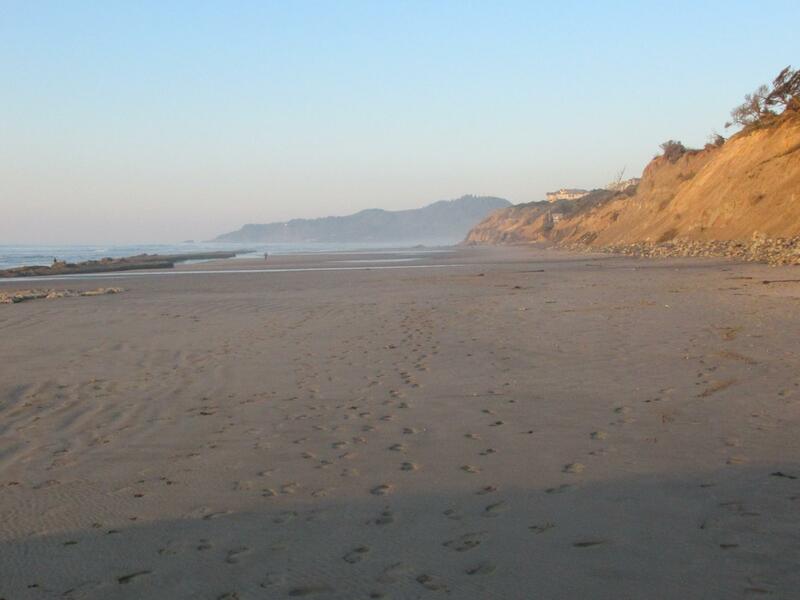 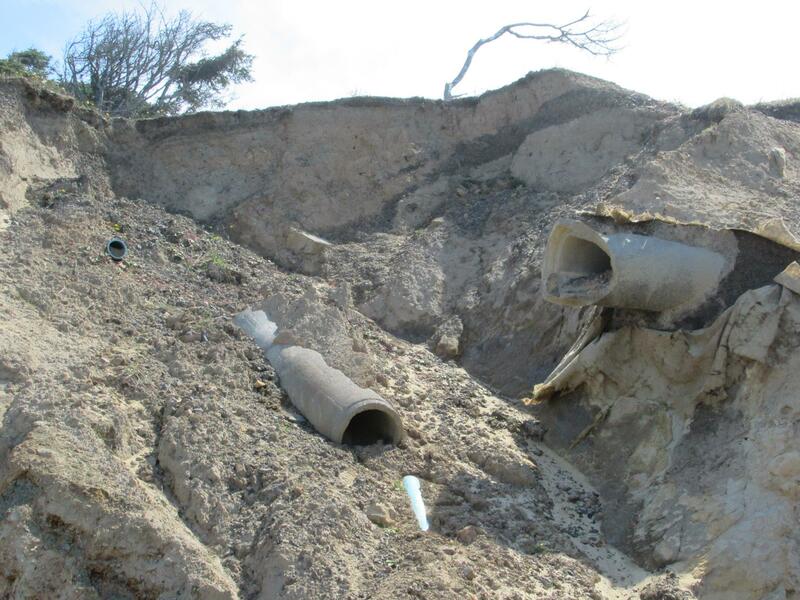 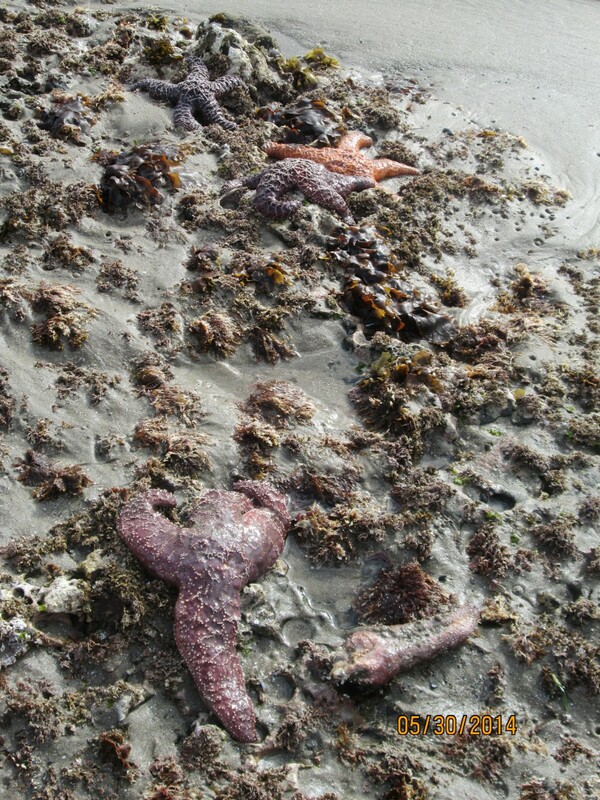 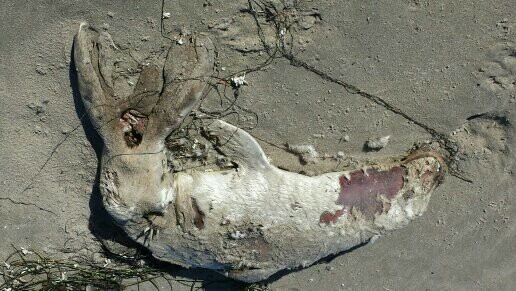 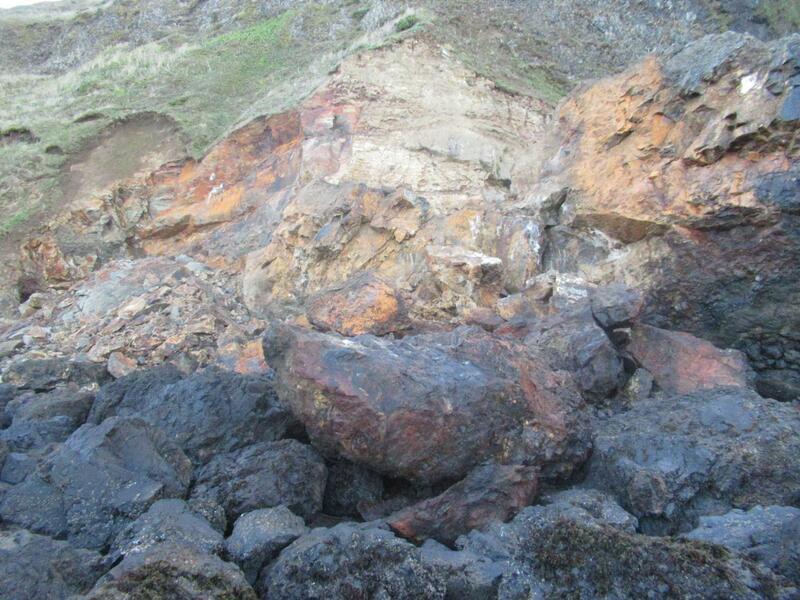 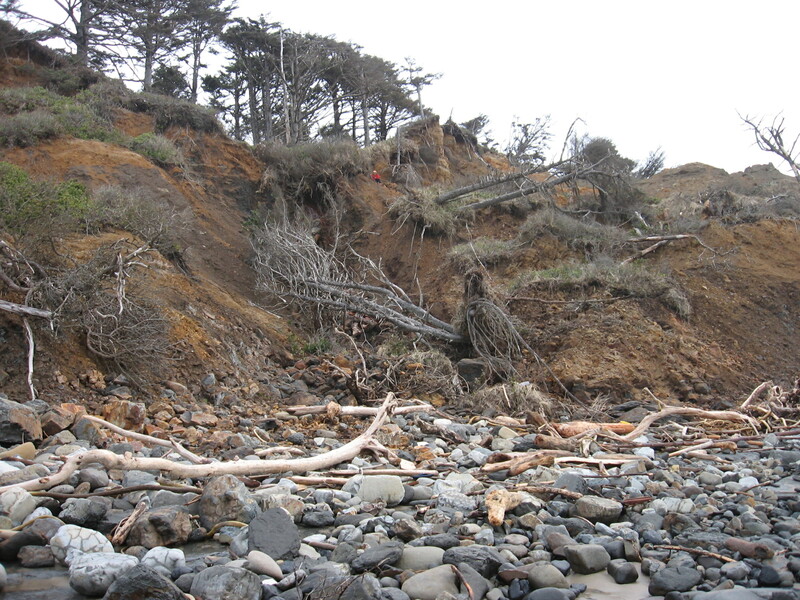 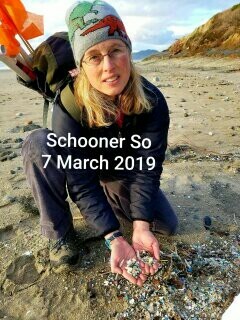 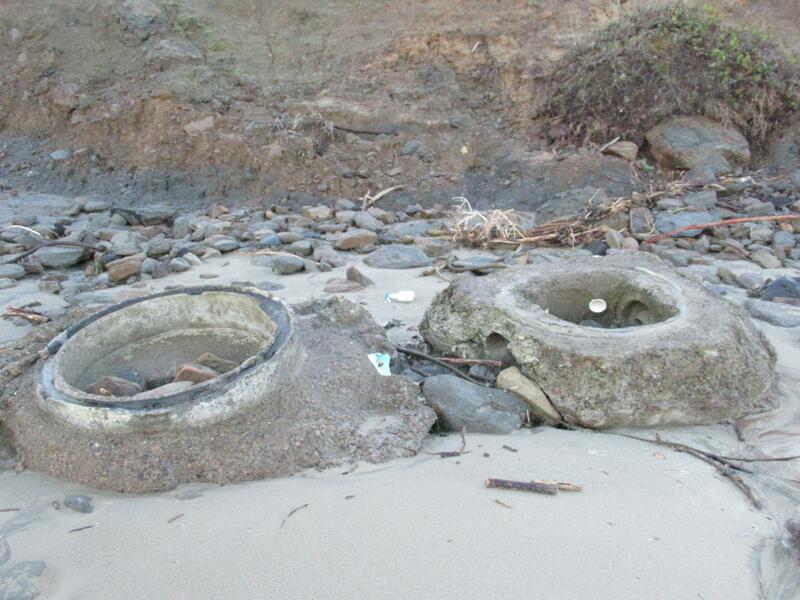 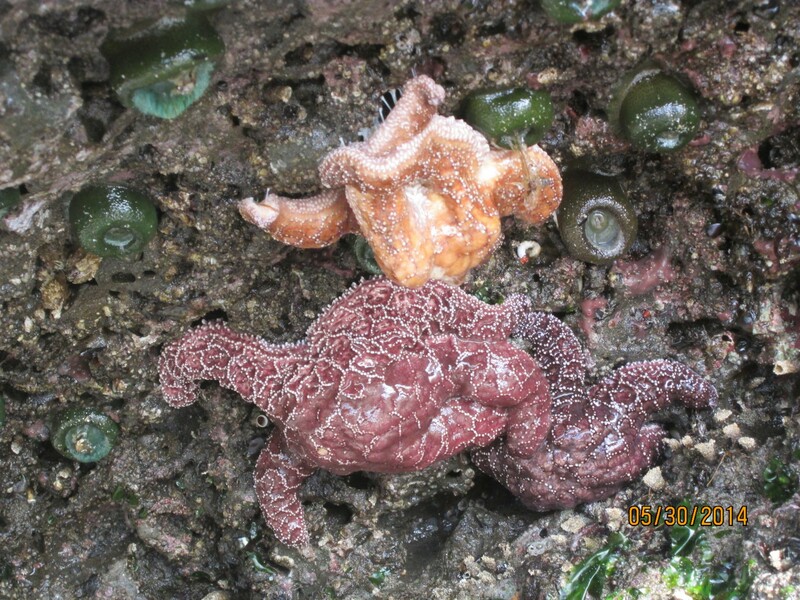 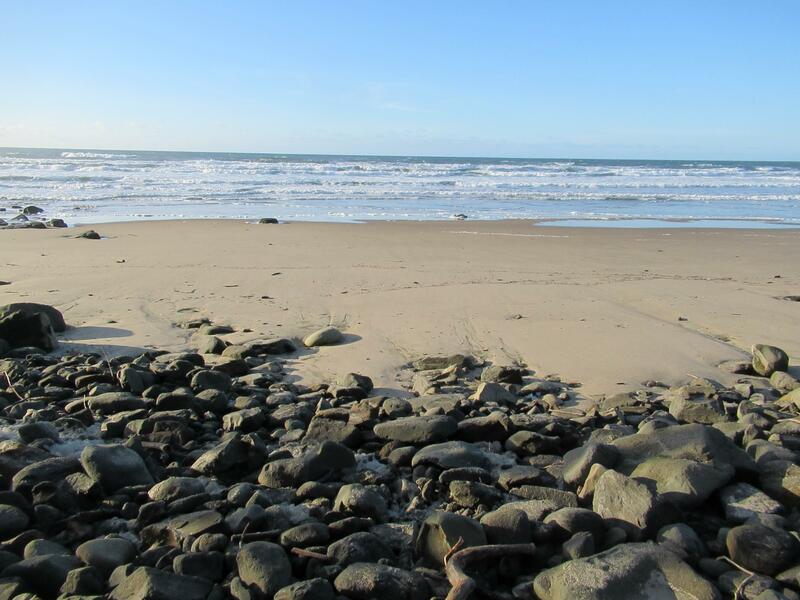 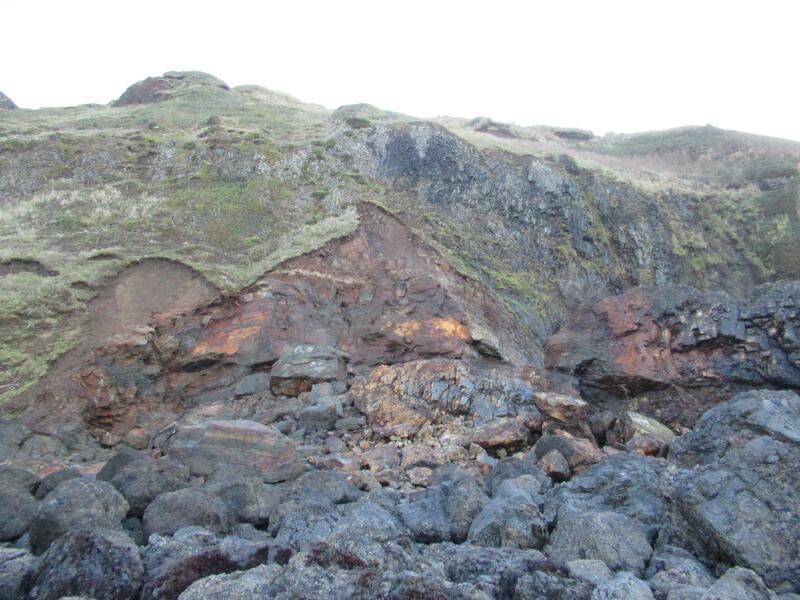 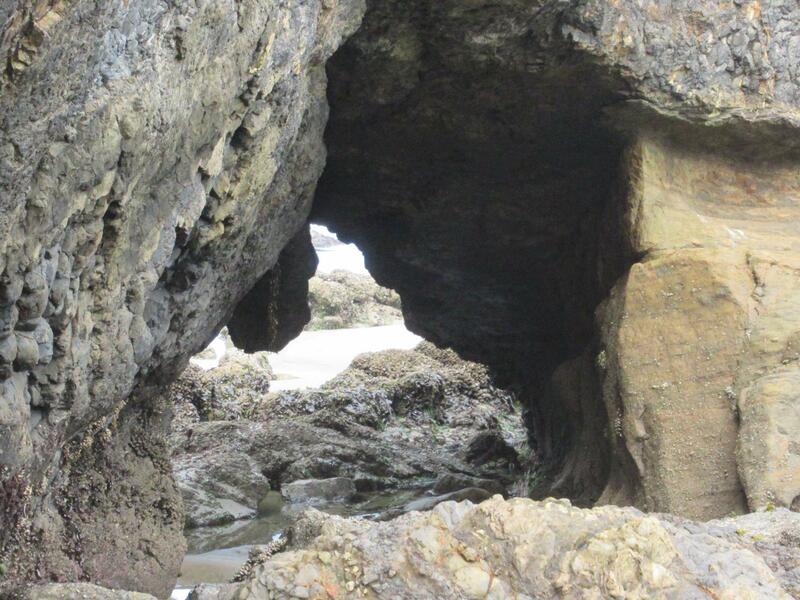 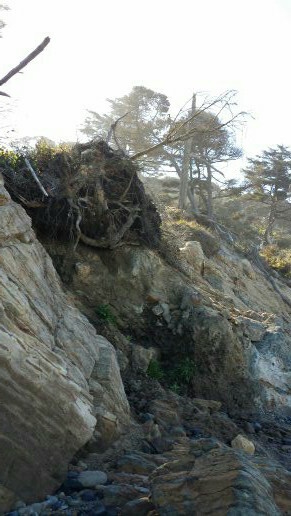 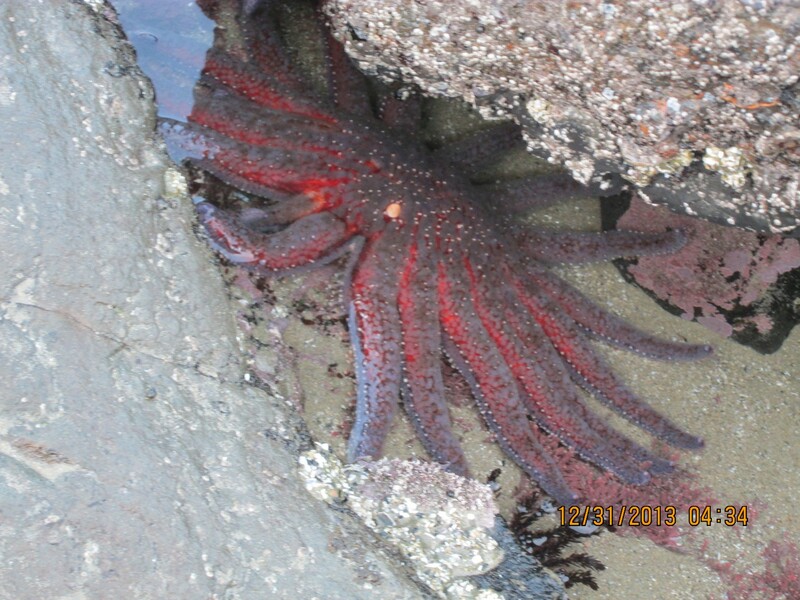 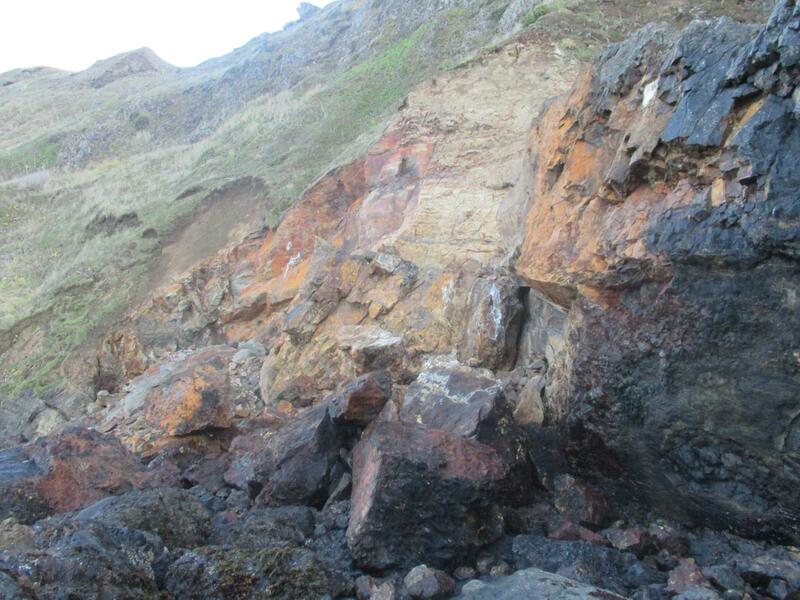 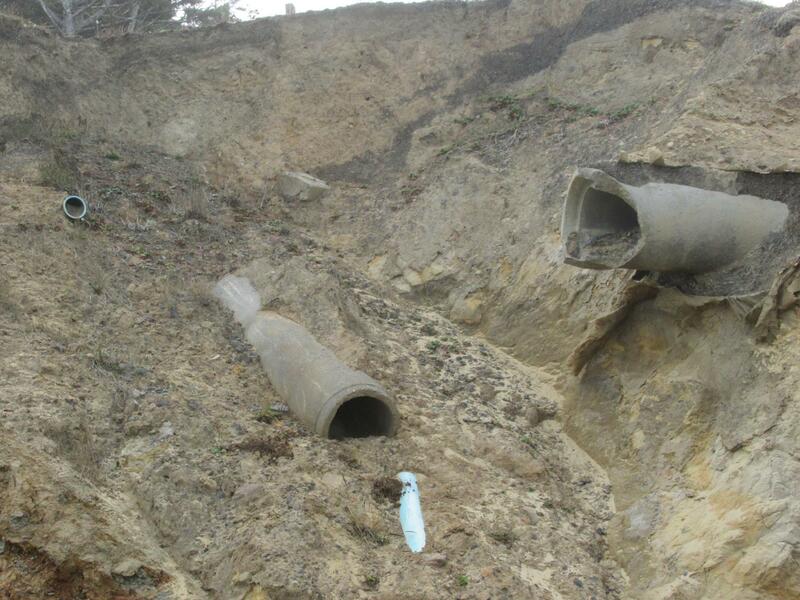 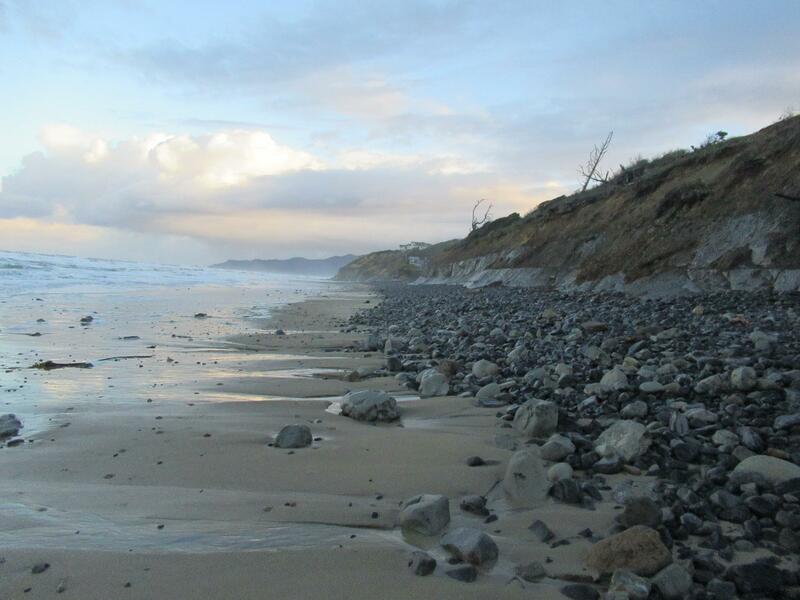 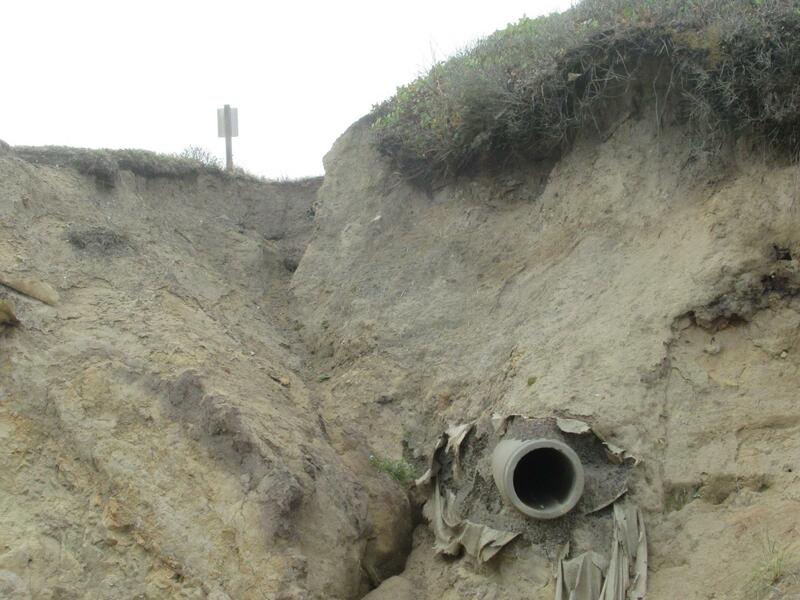 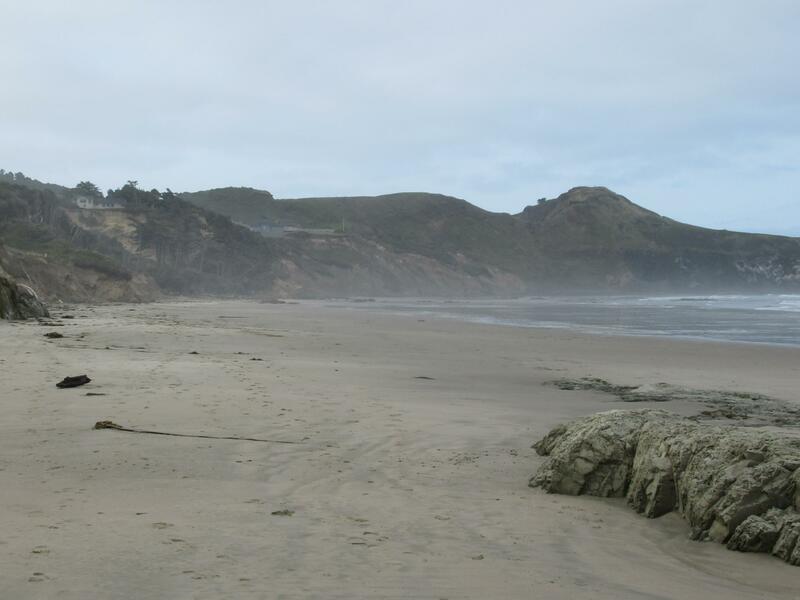 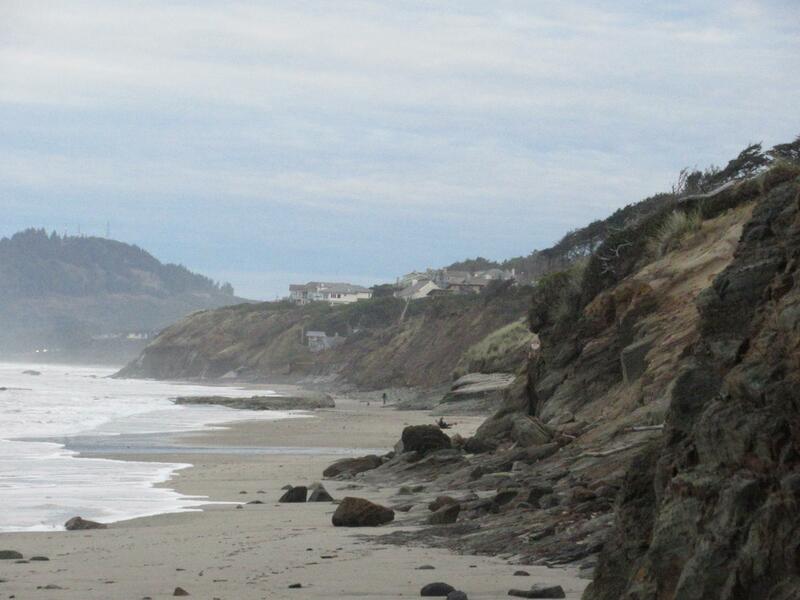 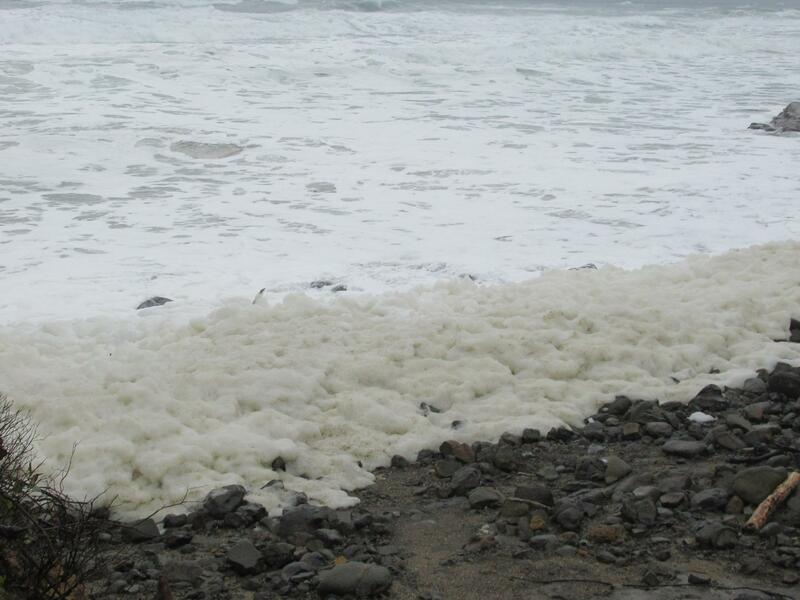 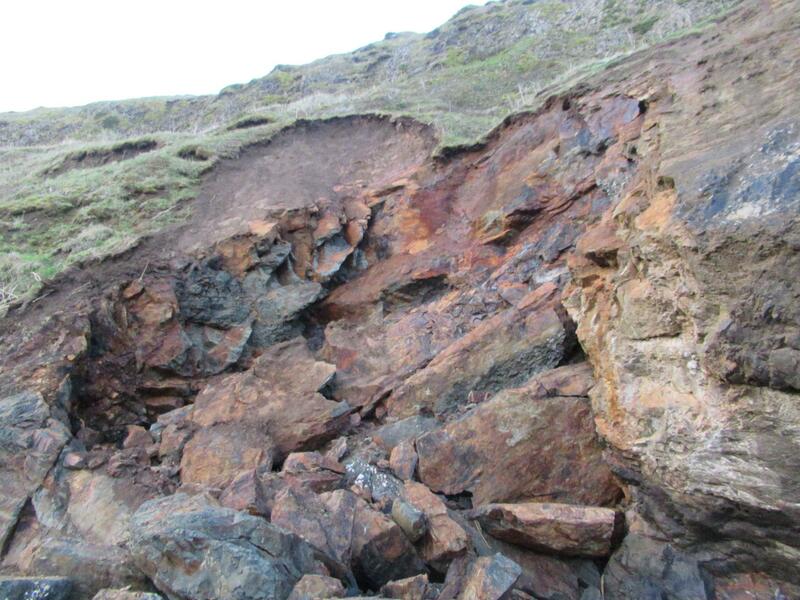 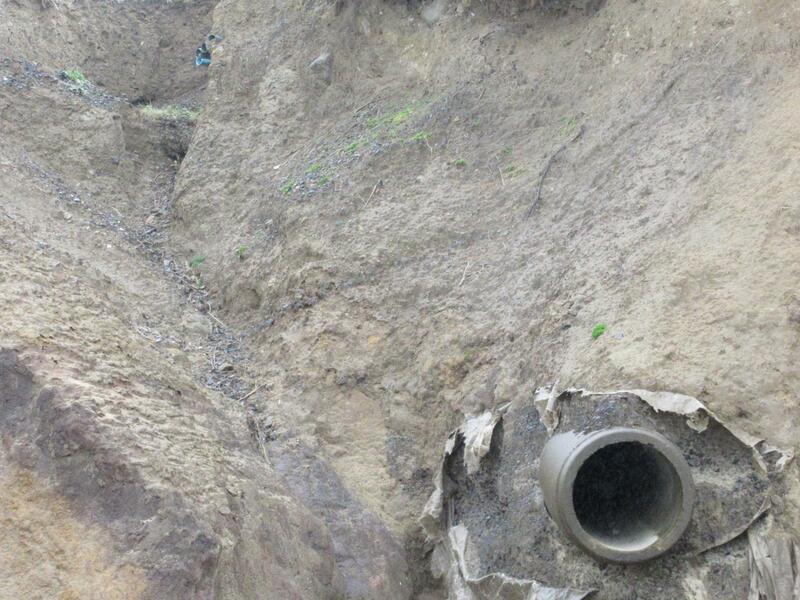 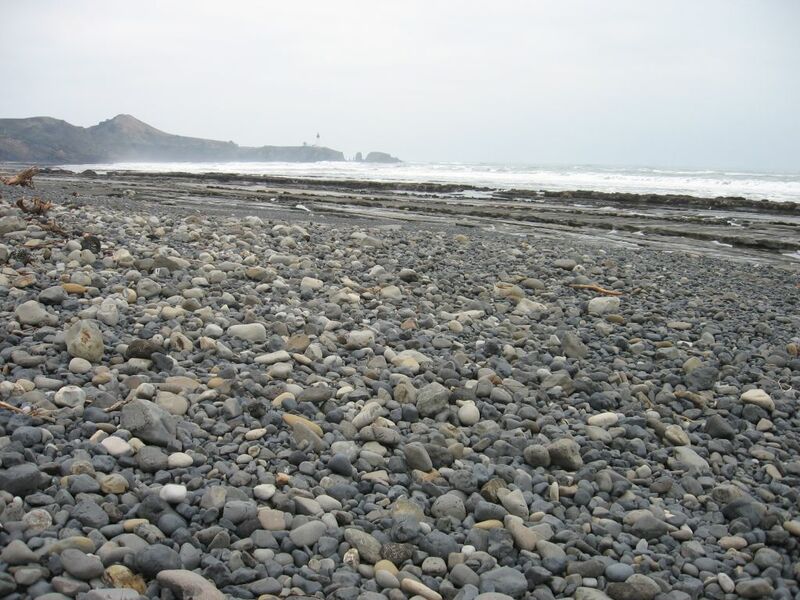 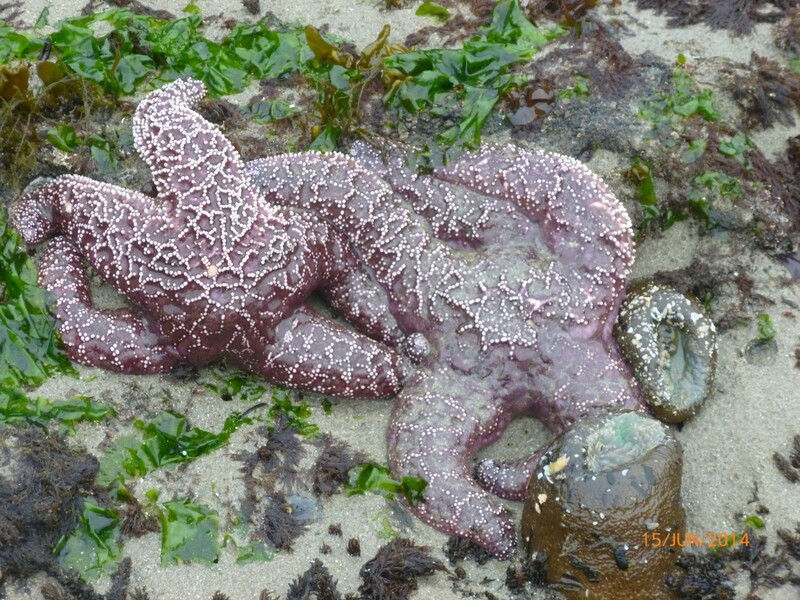 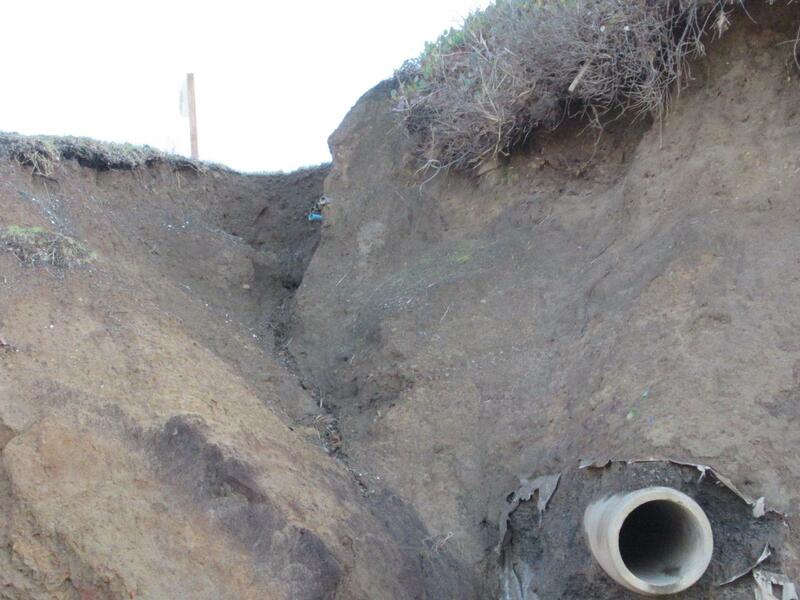 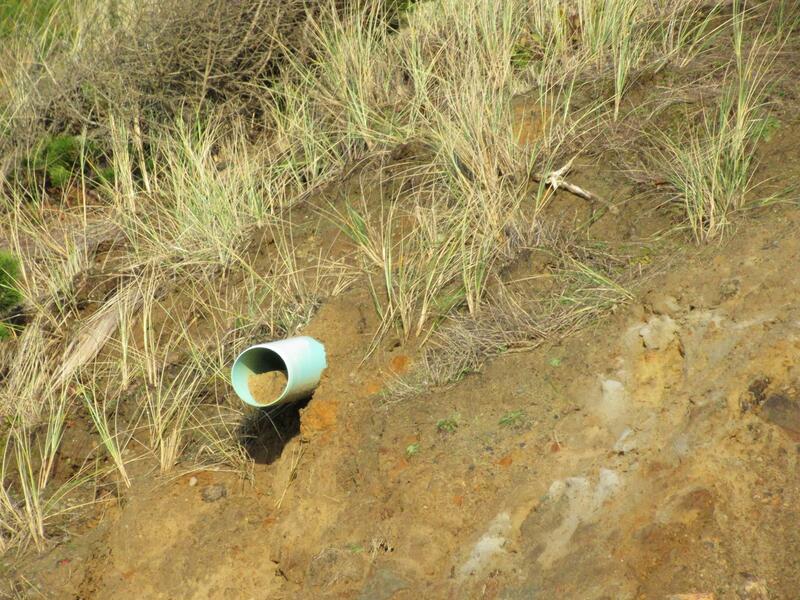 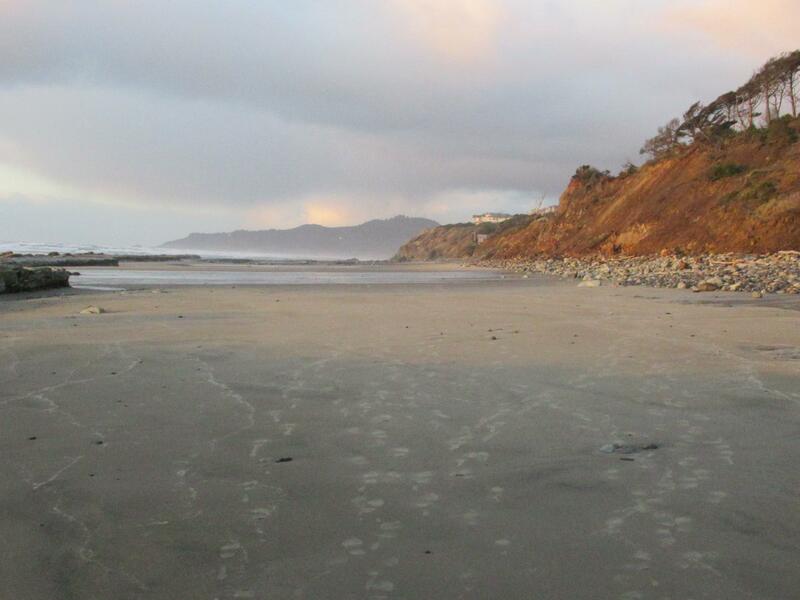 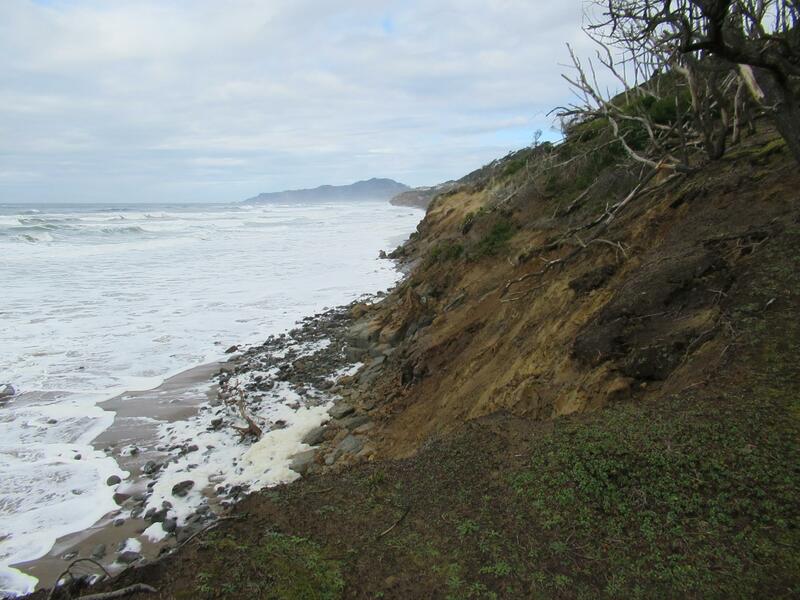 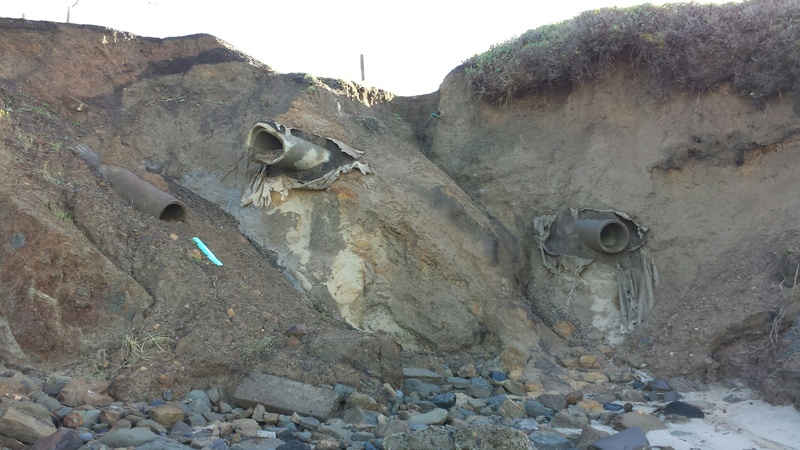 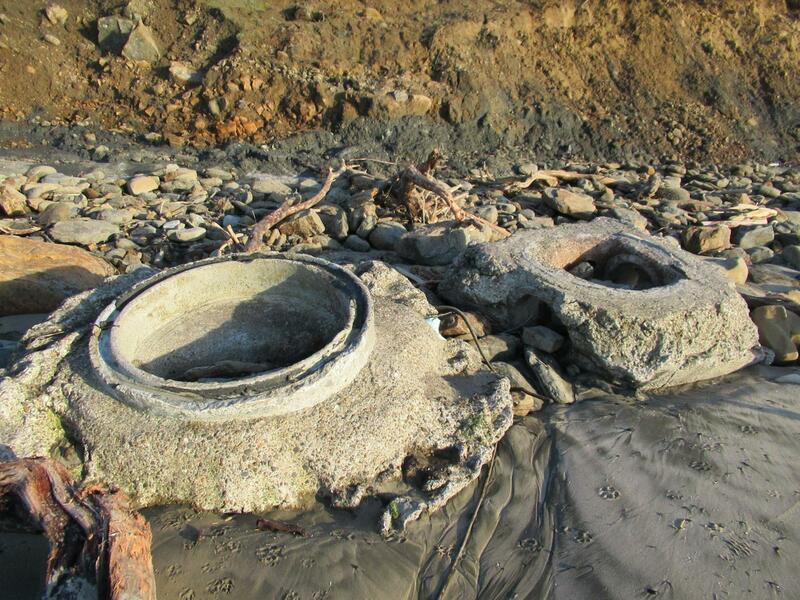 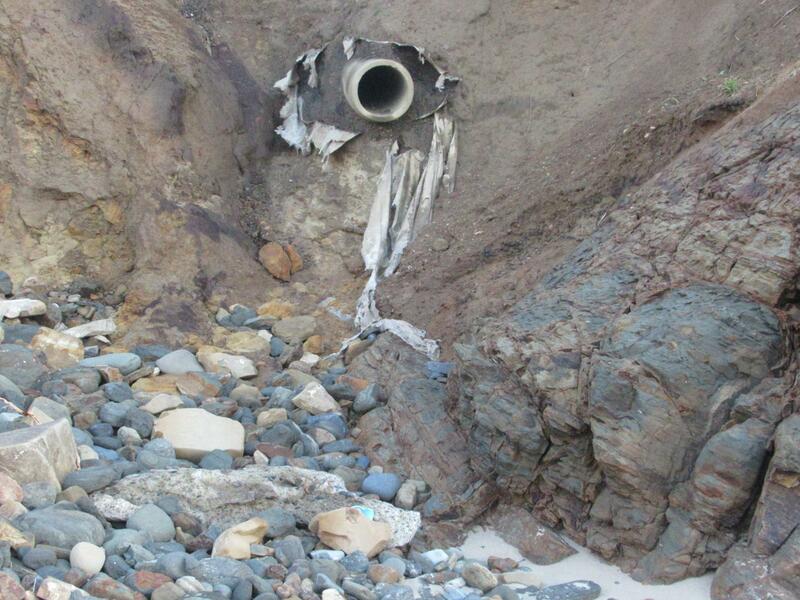 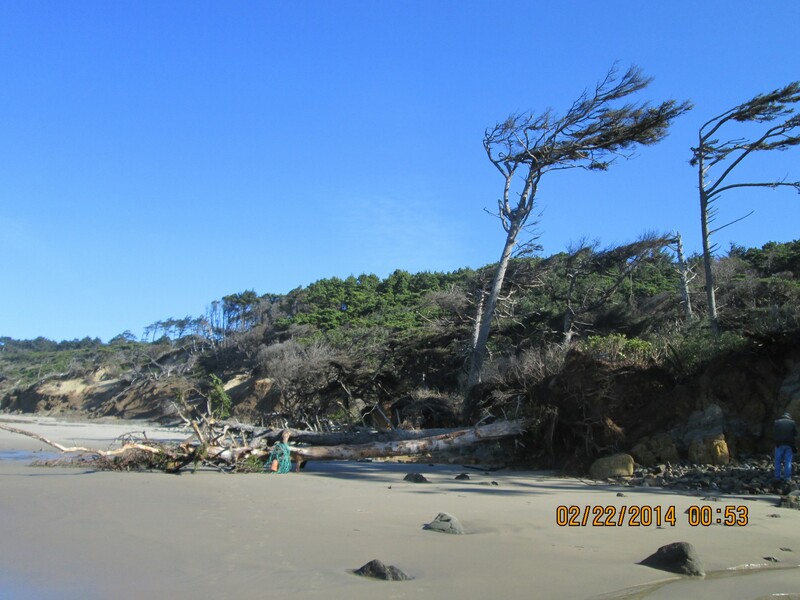 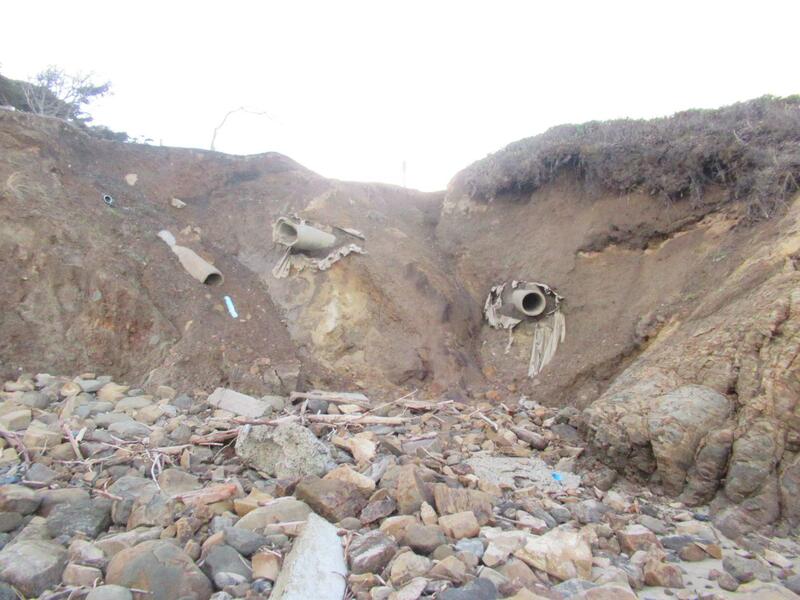 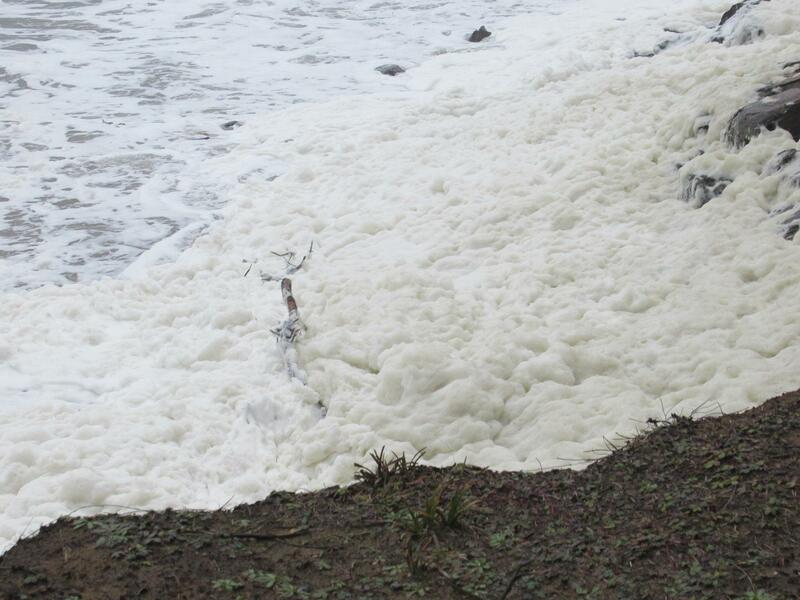 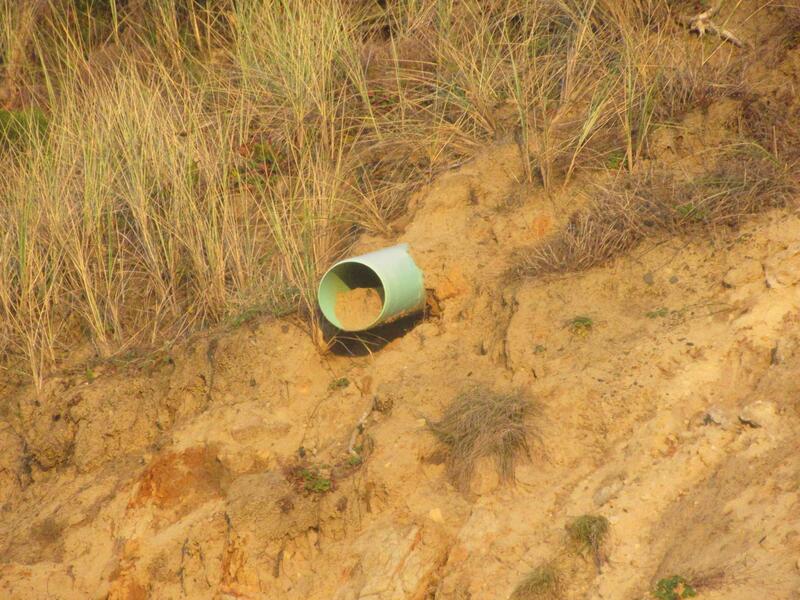 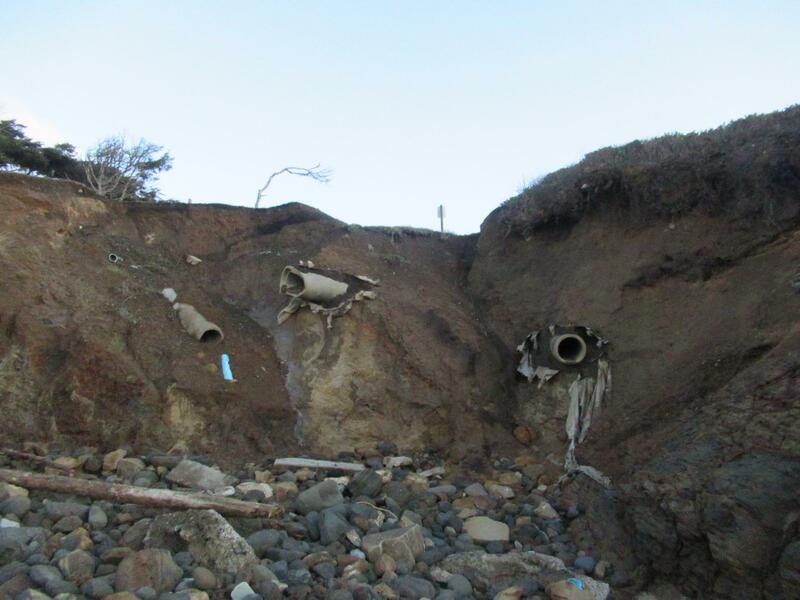 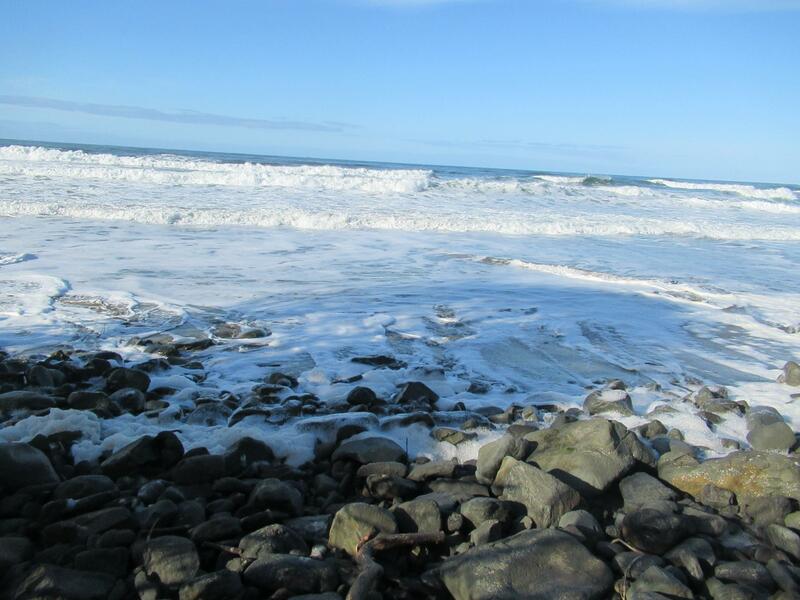 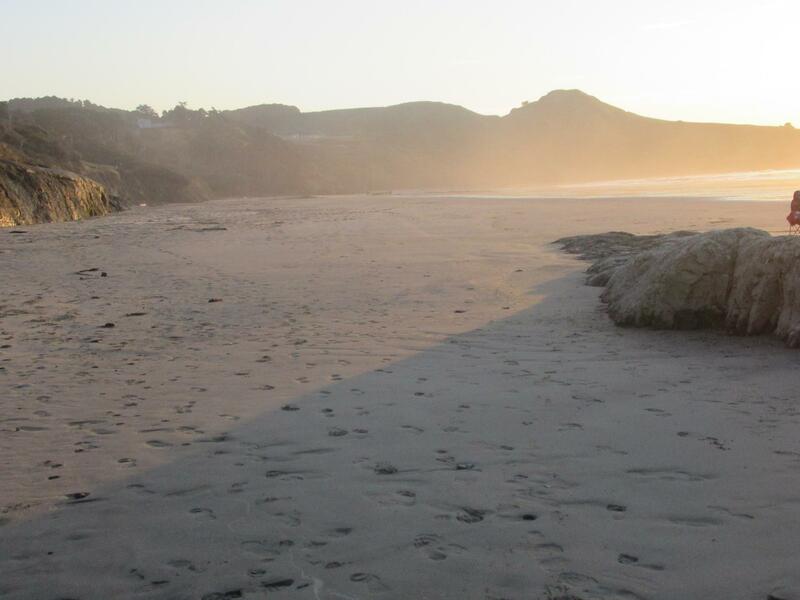 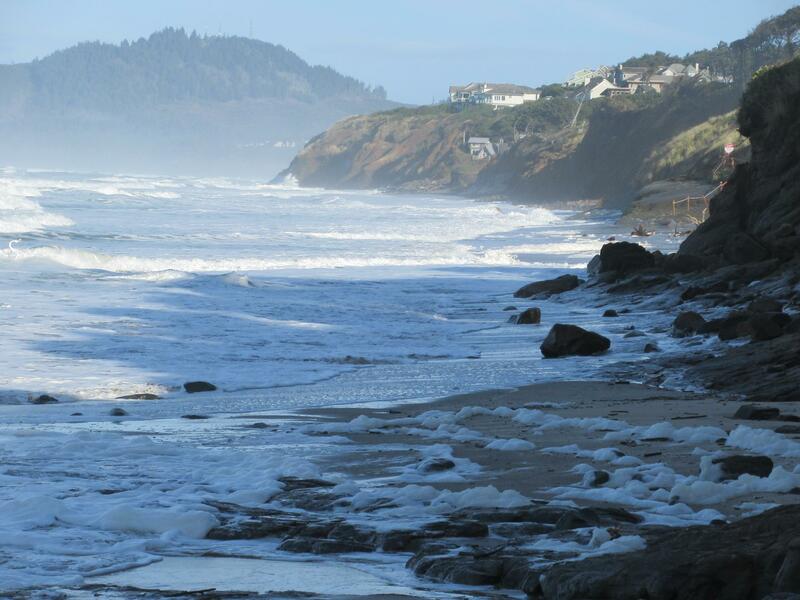 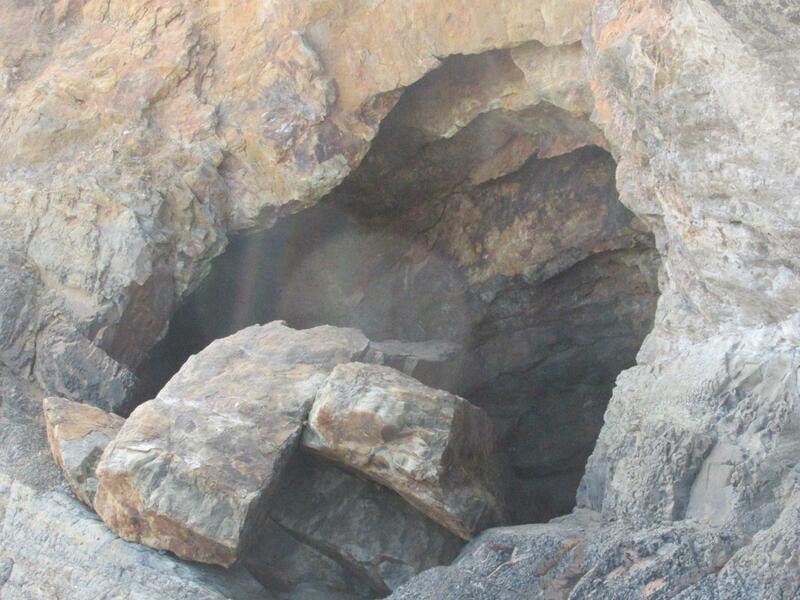 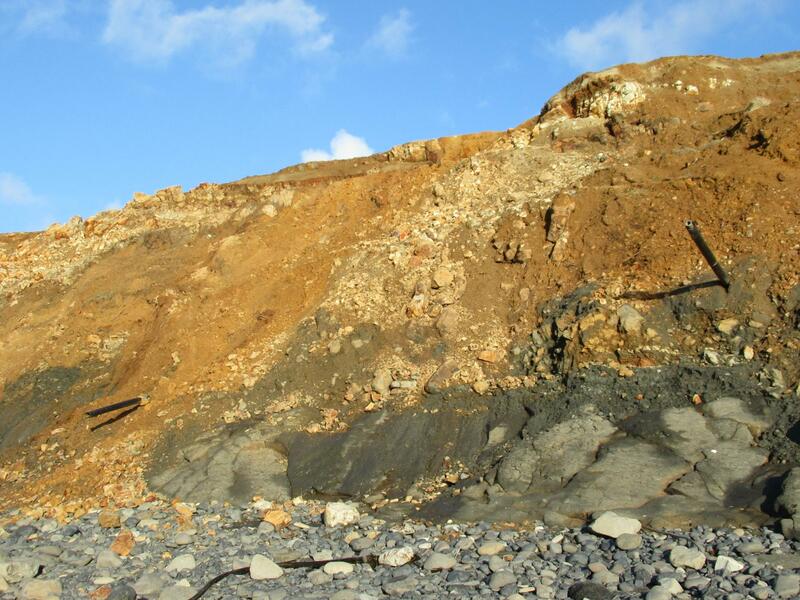 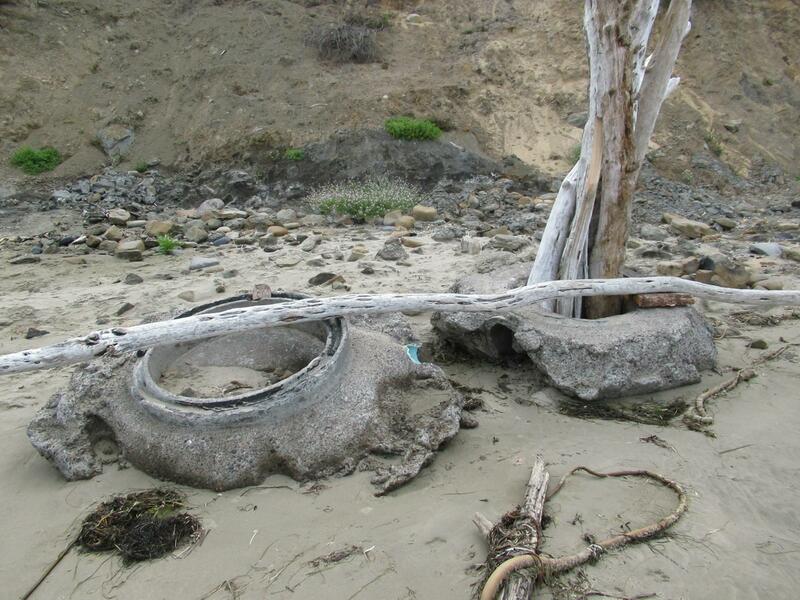 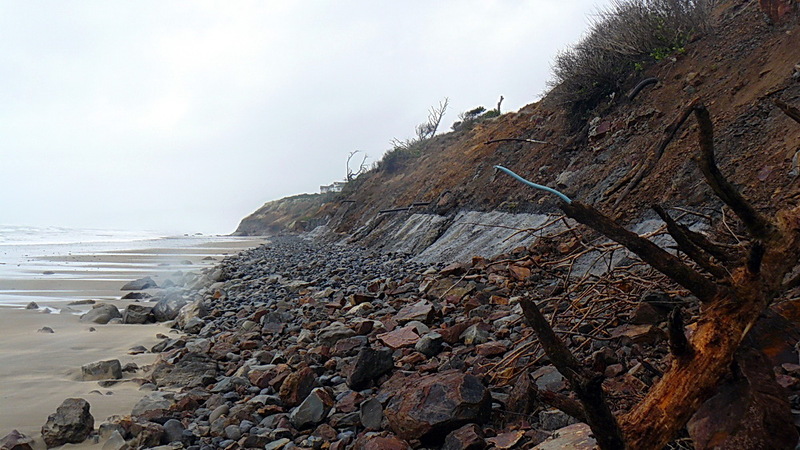 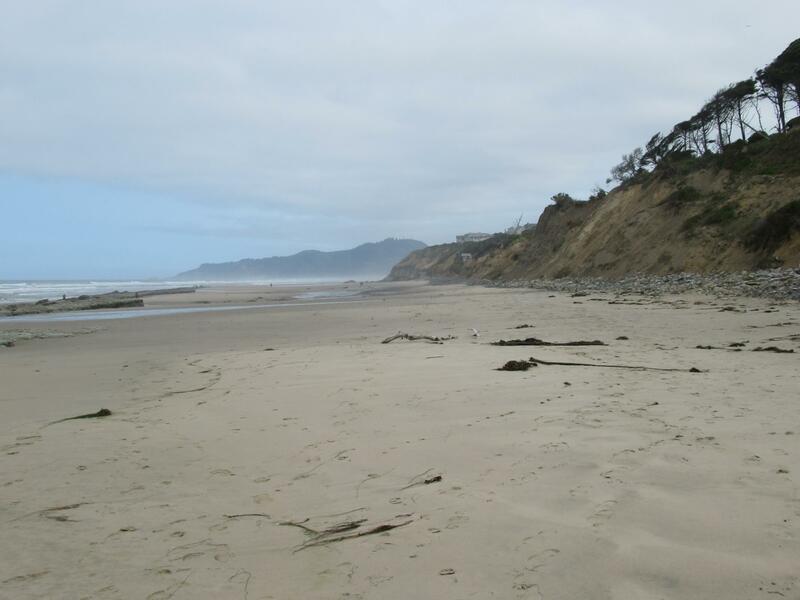 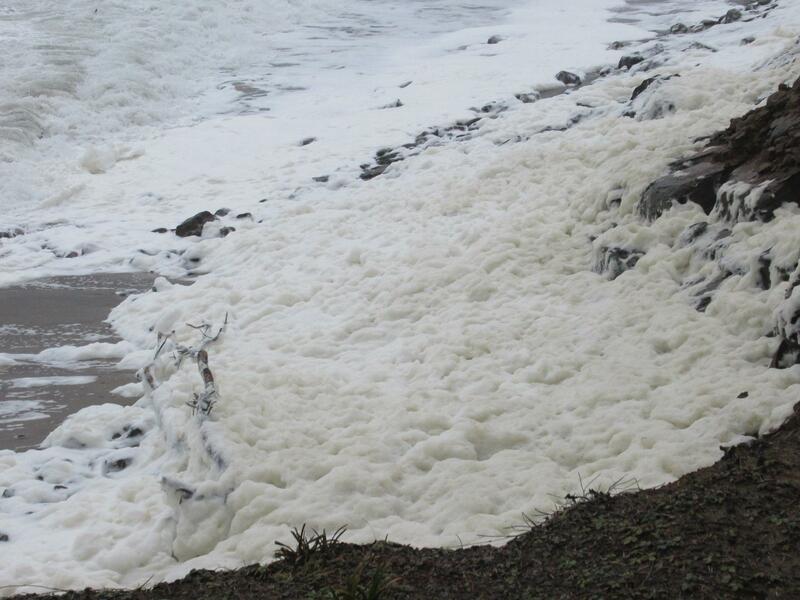 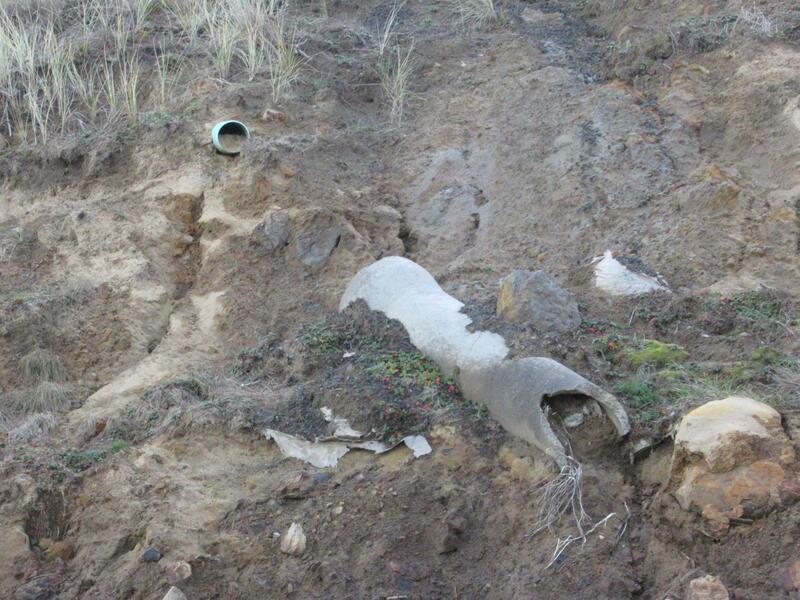 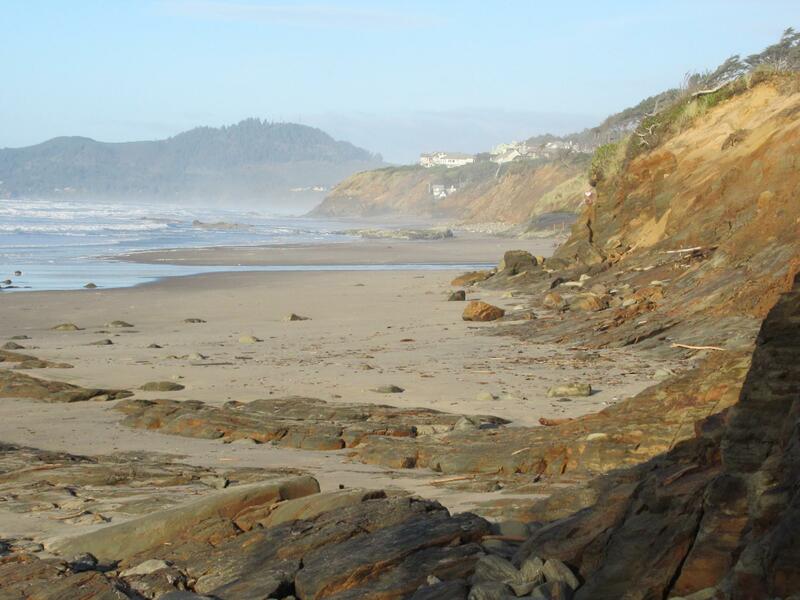 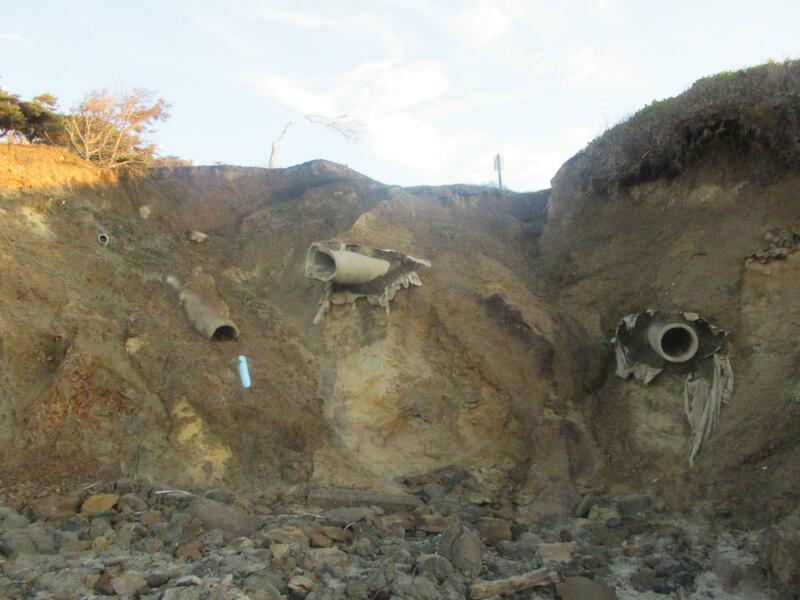 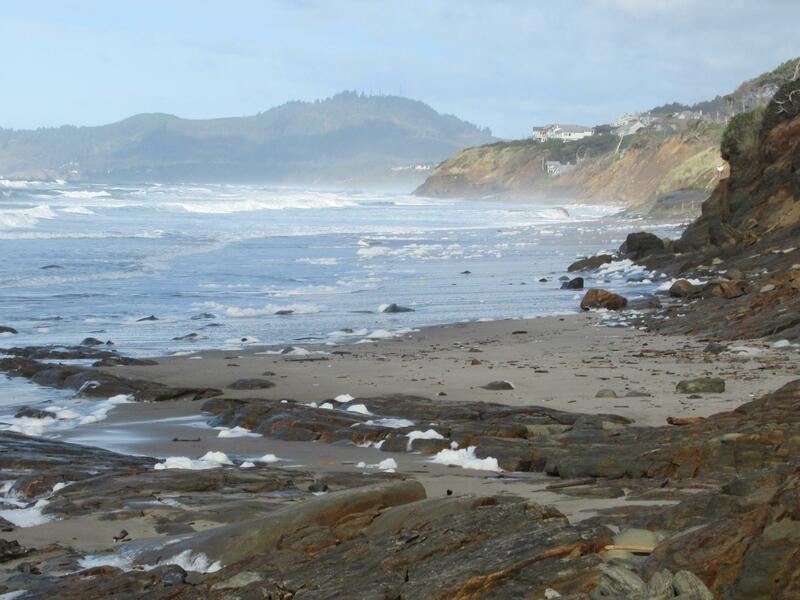 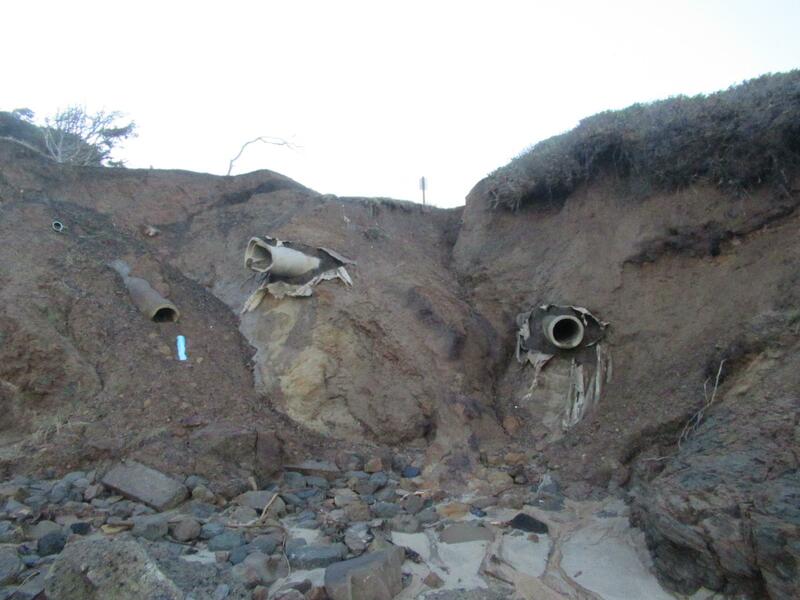 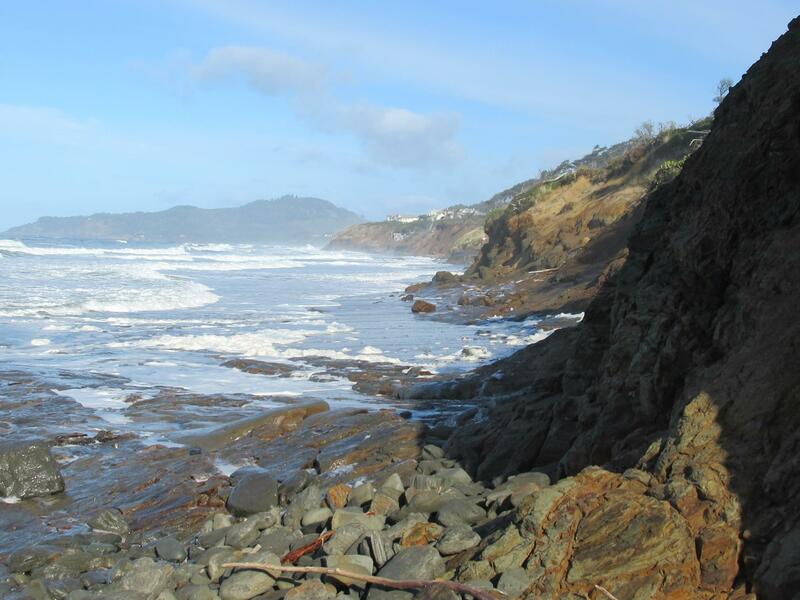 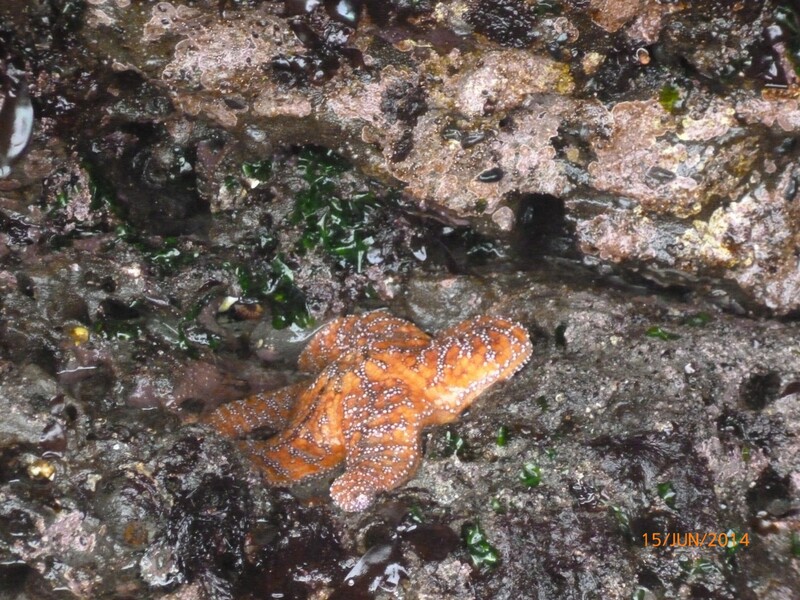 February report had no human debris near Yaquina Head, clean beach until access near NW68th street. 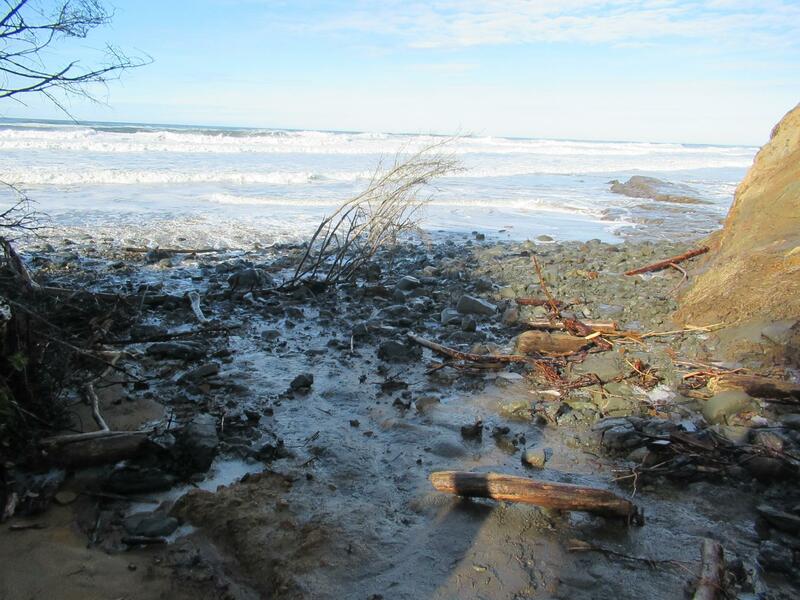 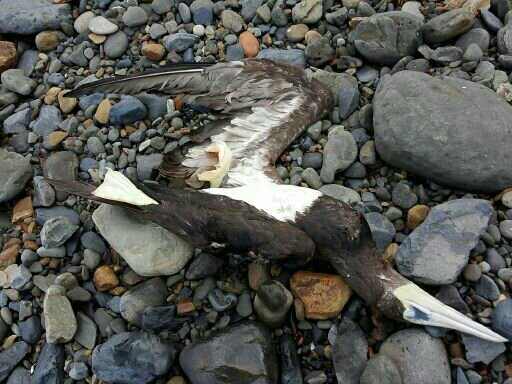 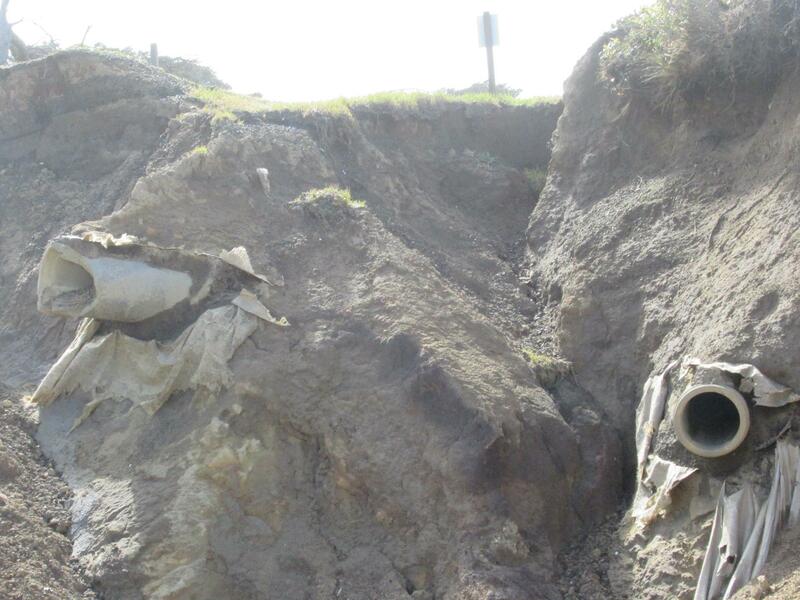 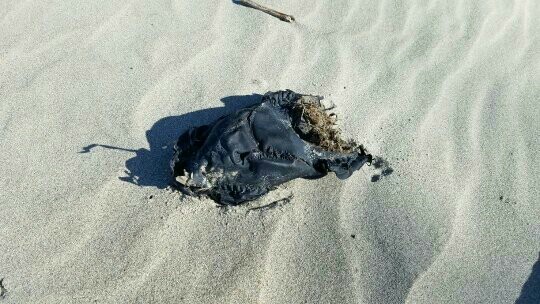 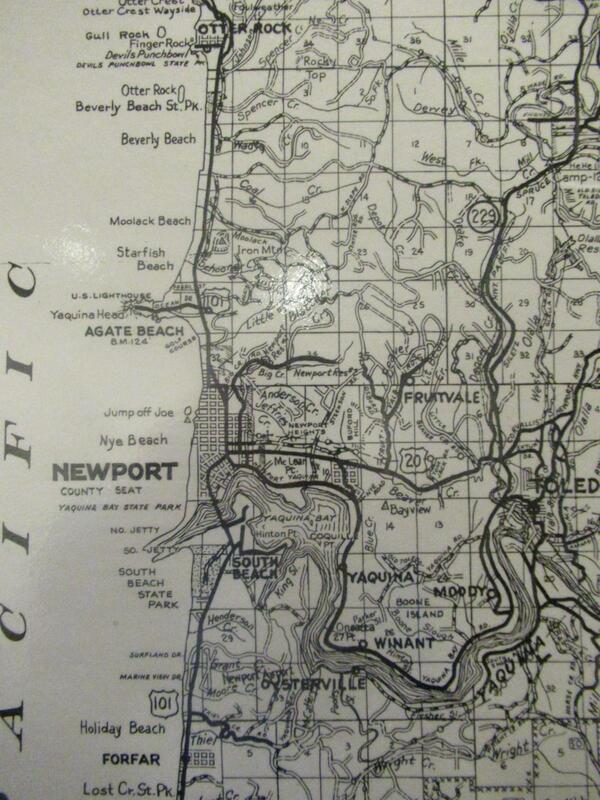 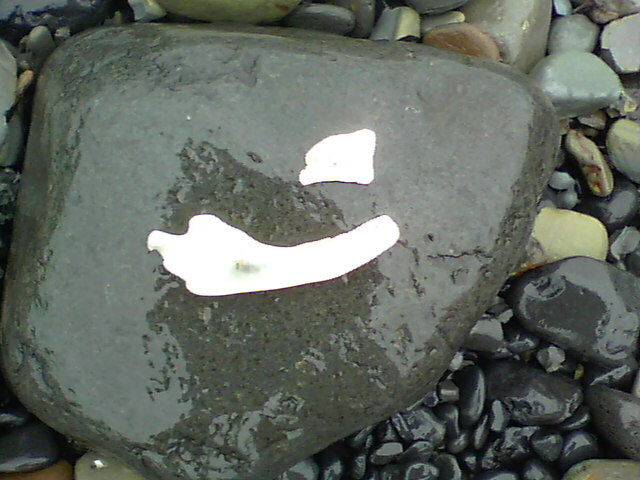 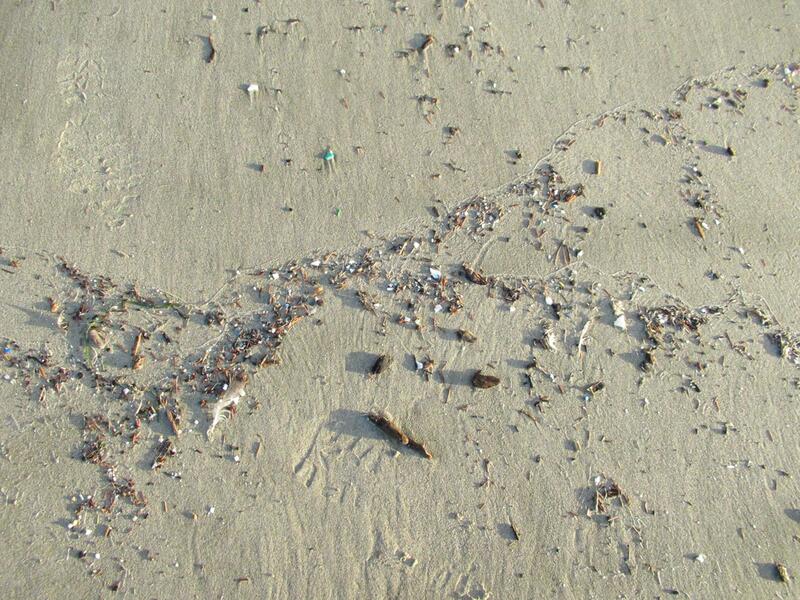 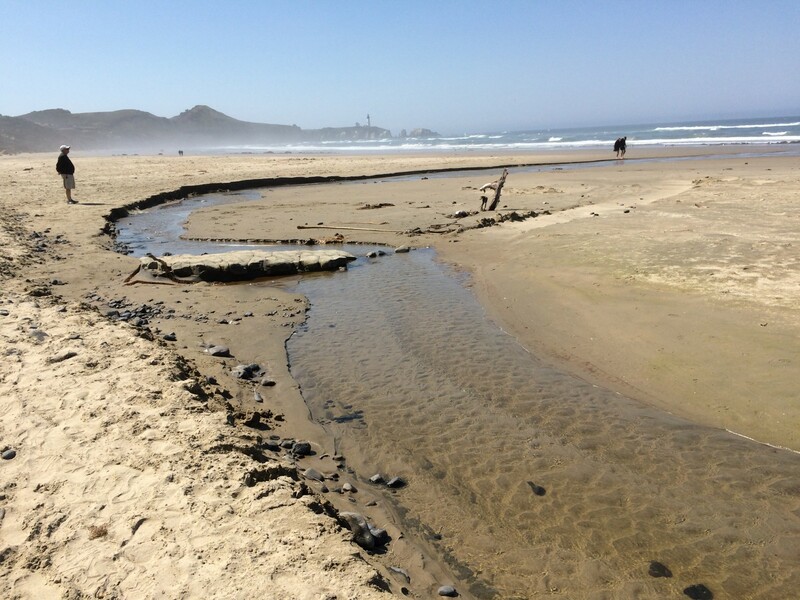 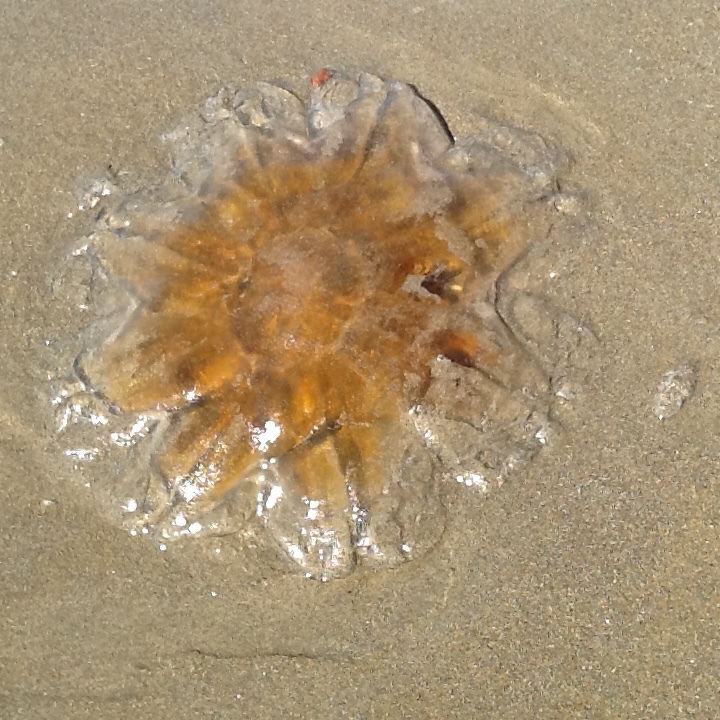 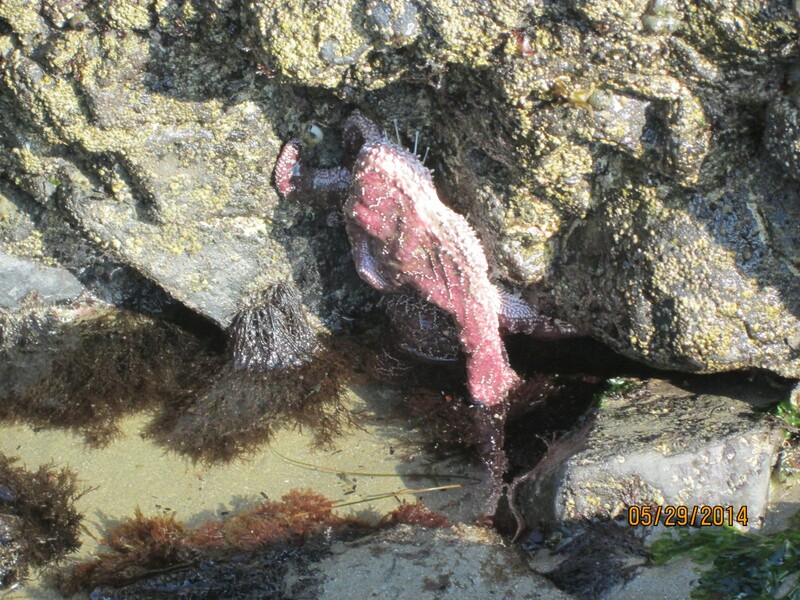 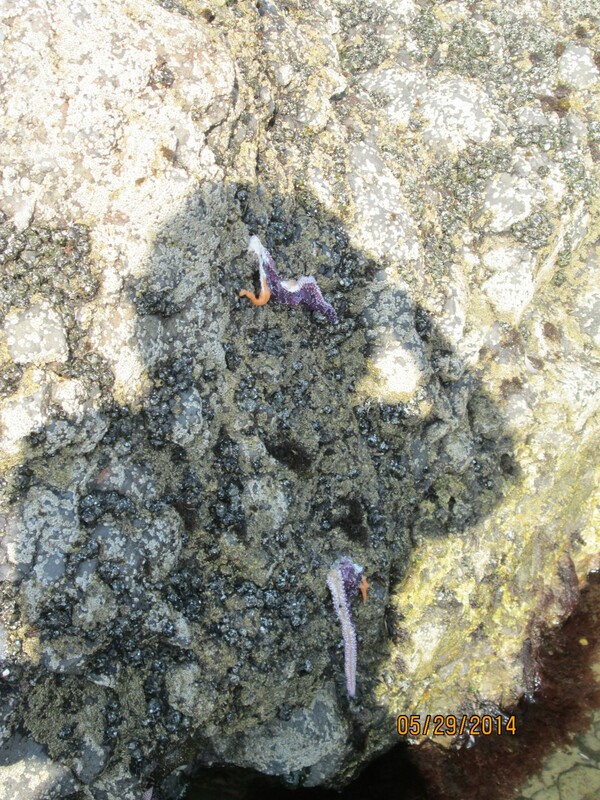 May report had some human debris near Yaquina Head, clean beach, and clean near access at NW 68th street. 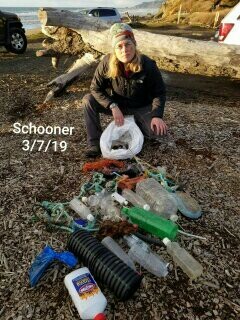 At 68th street were 2 full bags of litter and a plastic milk crate of litter cleaned up. 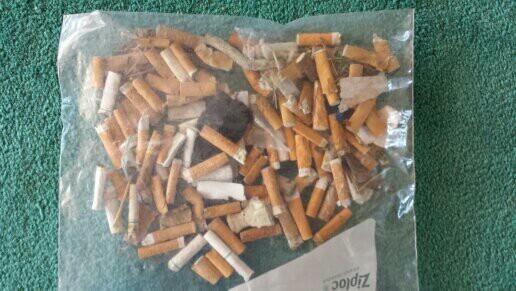 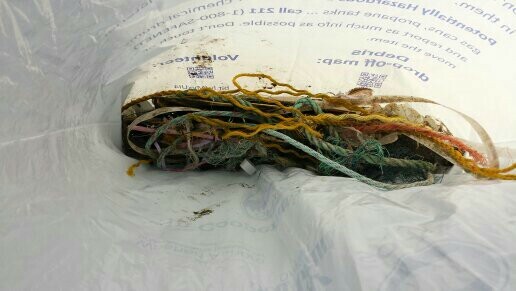 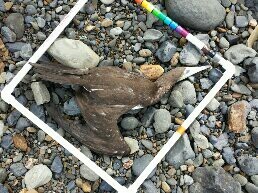 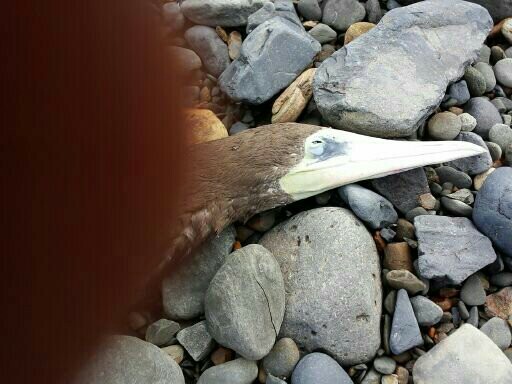 Thank You to person who is keeping beach clean. 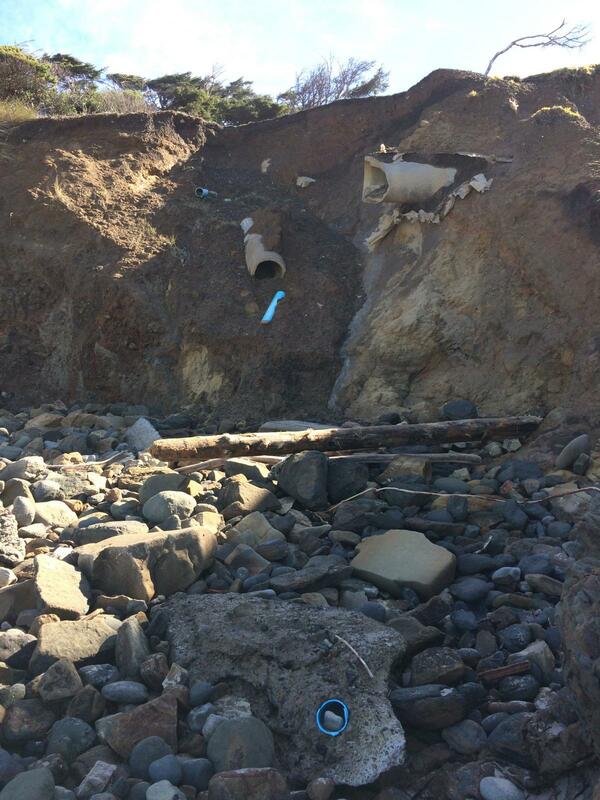 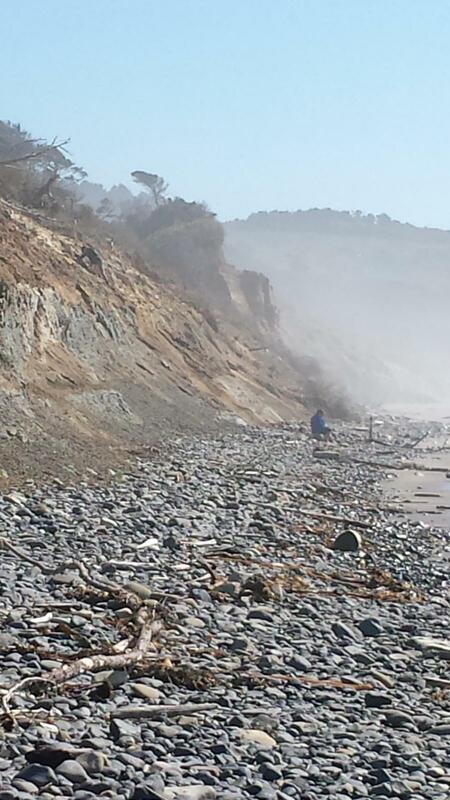 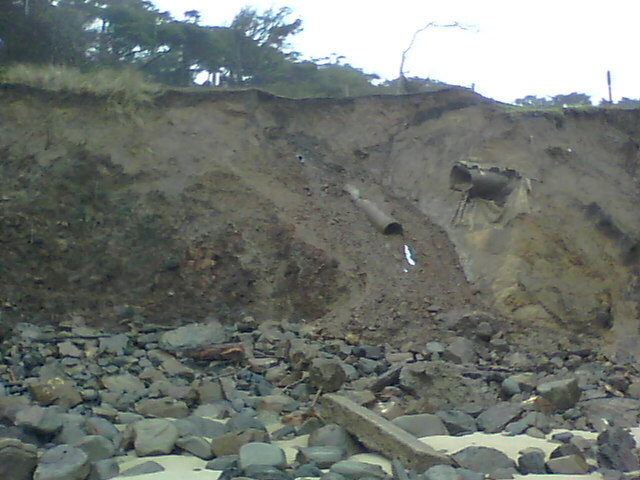 Compared to last report--sand is coming back to this beach area. 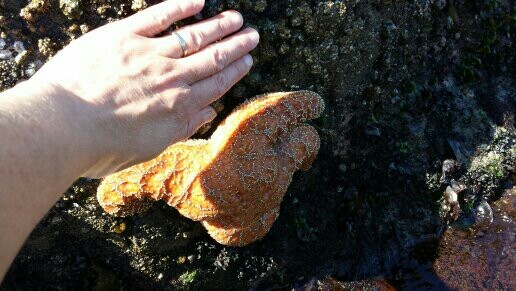 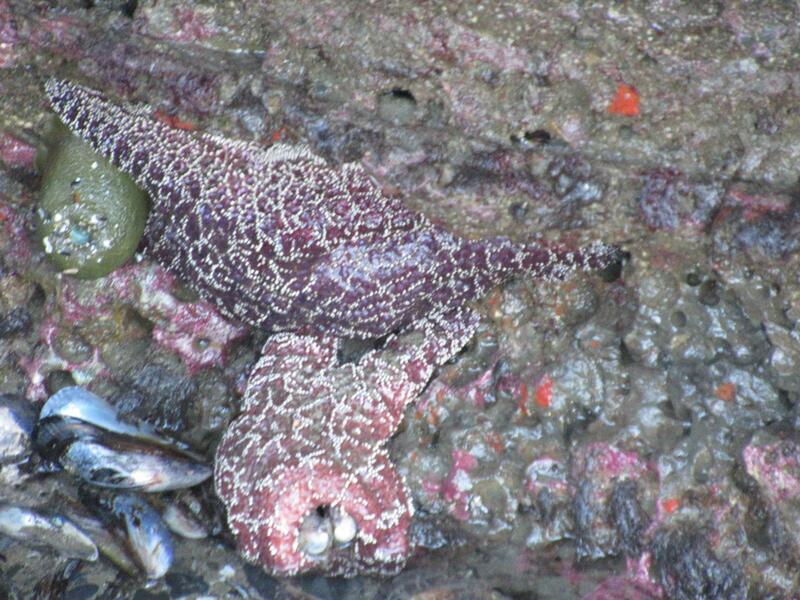 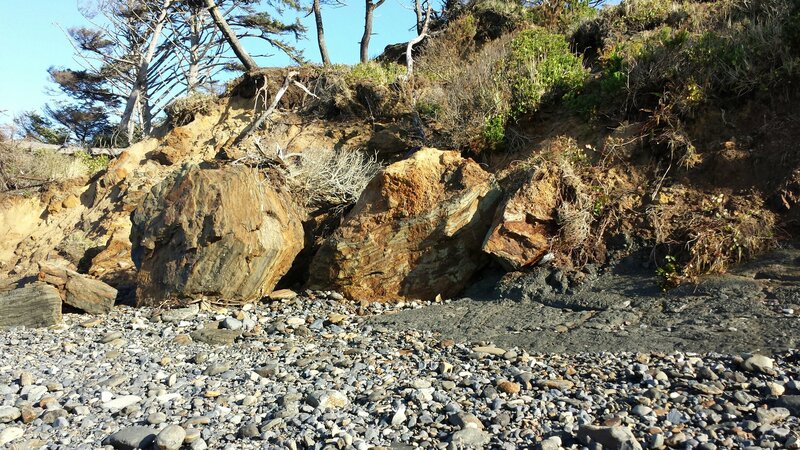 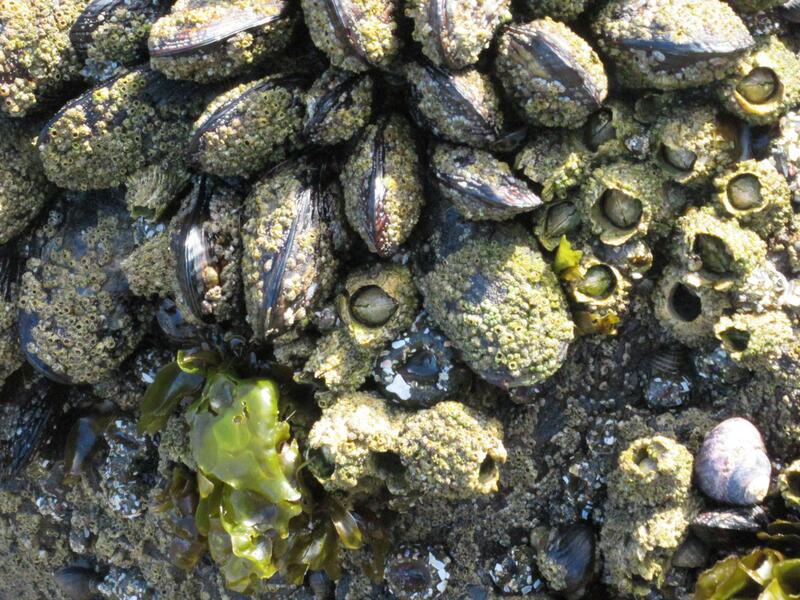 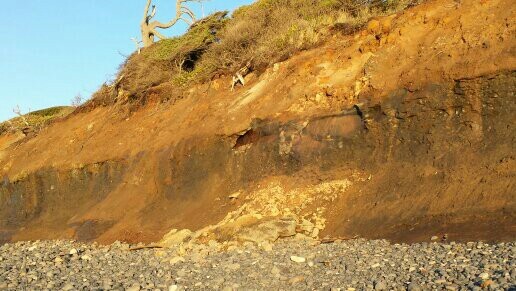 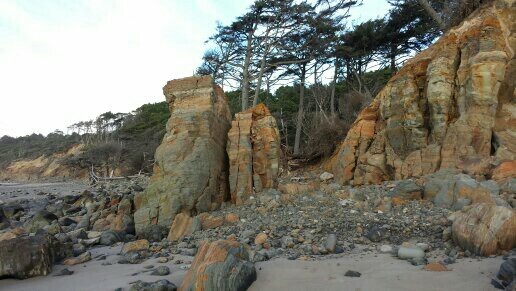 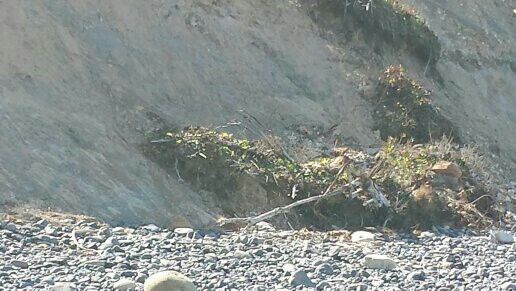 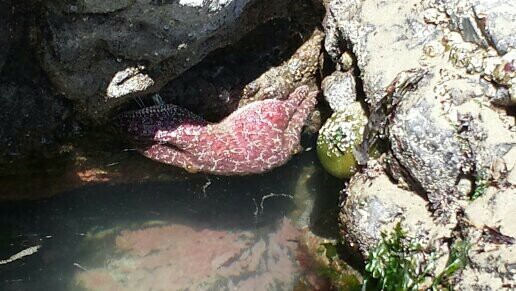 I got to Yaquina Head cliff wall, plus the rocky beach now in some areas mostly sand with some rock. 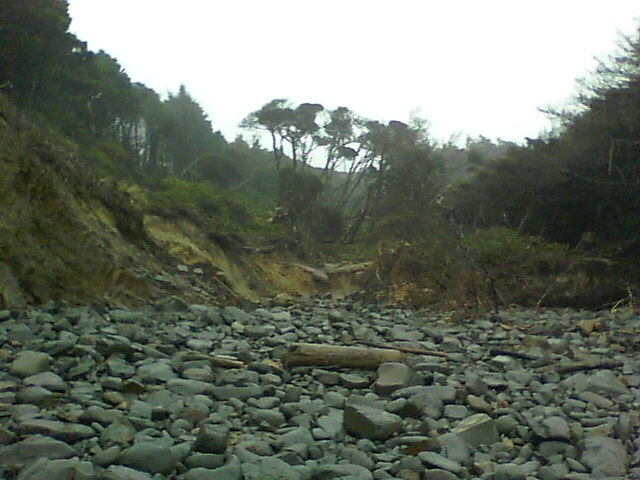 Near North 44 degrees 40.613 minutes, West 124 degrees 4.473 minutes. 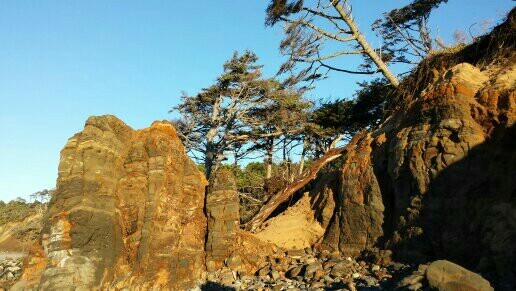 Yaquina Head Cliff basalt erosion. 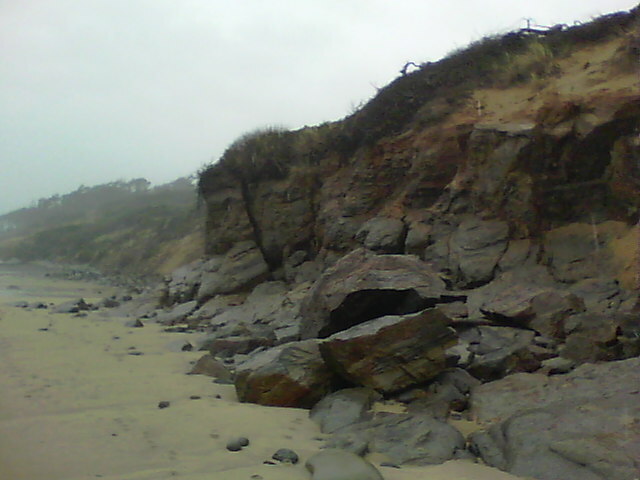 Near North 44 degrees 40.874 minutes, West 124 degrees 4.134 minutes. 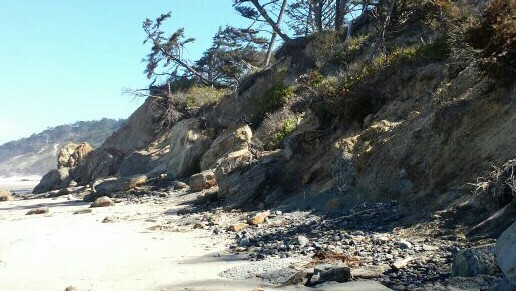 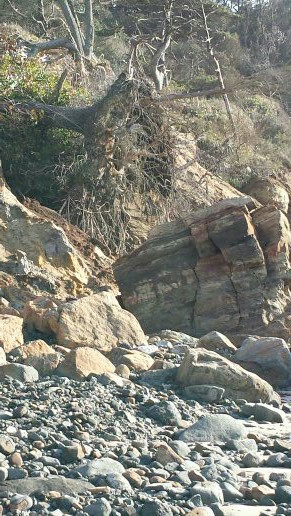 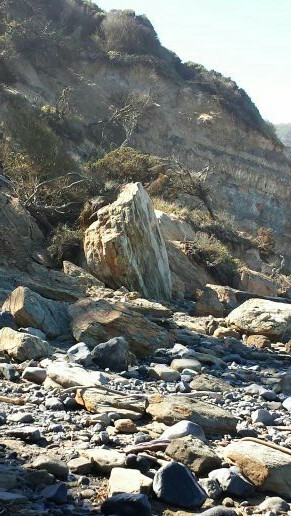 Sand filling in rocky beach - looking north.